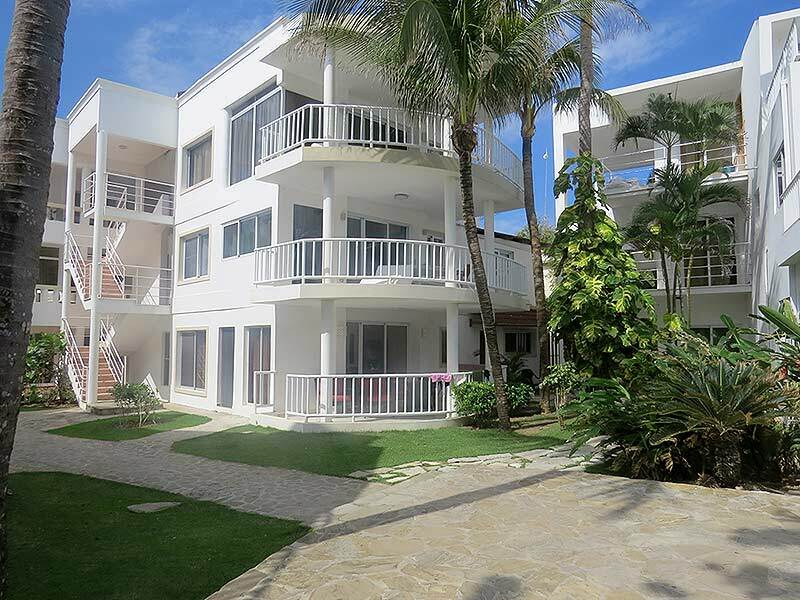 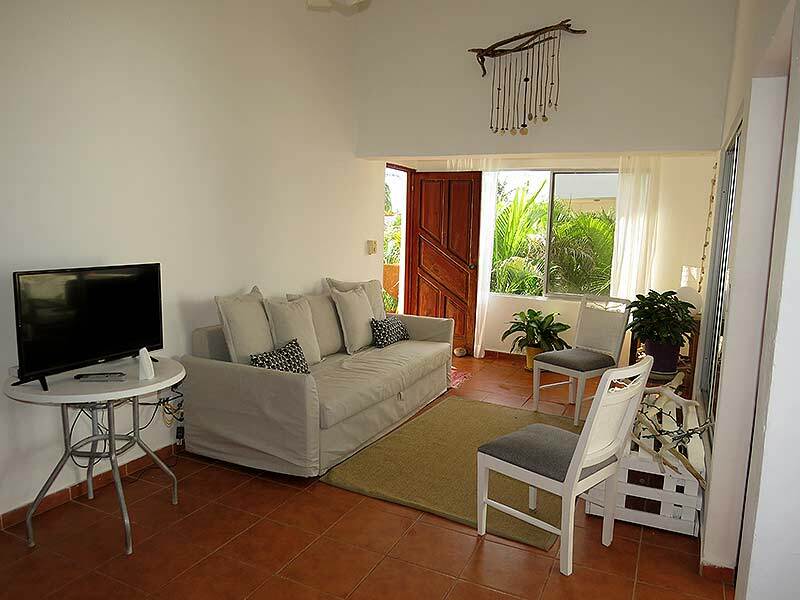 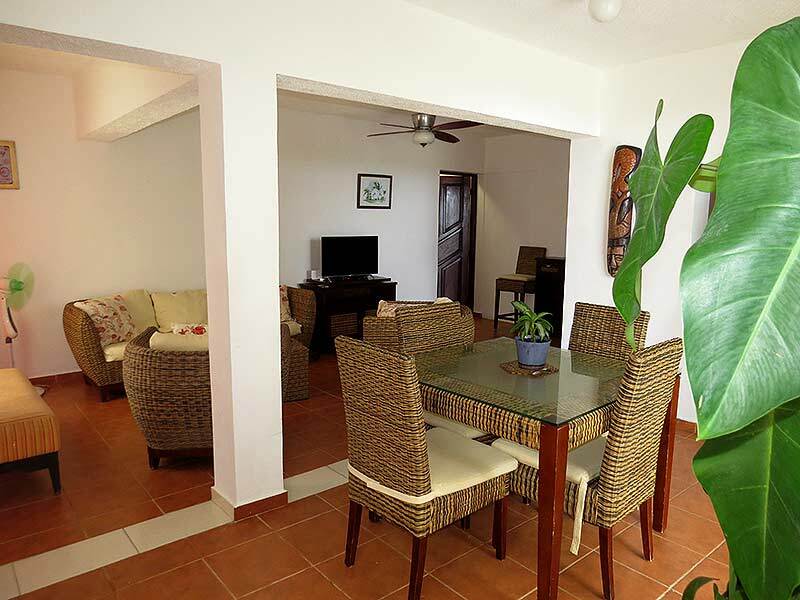 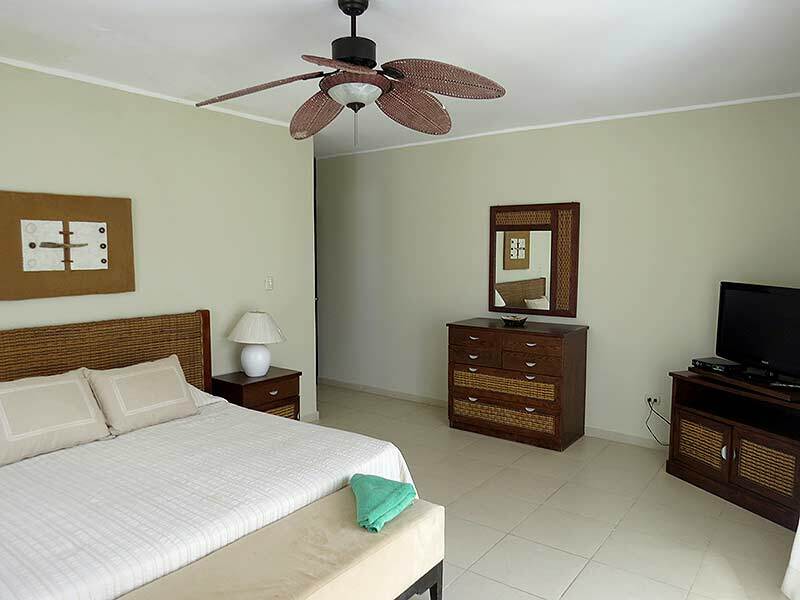 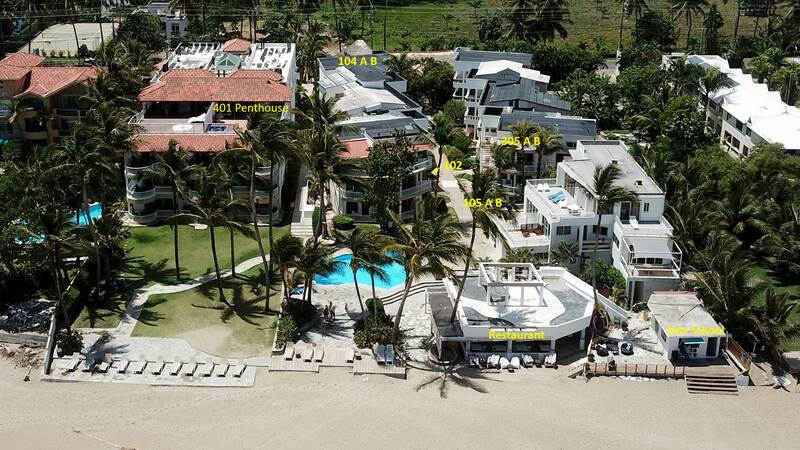 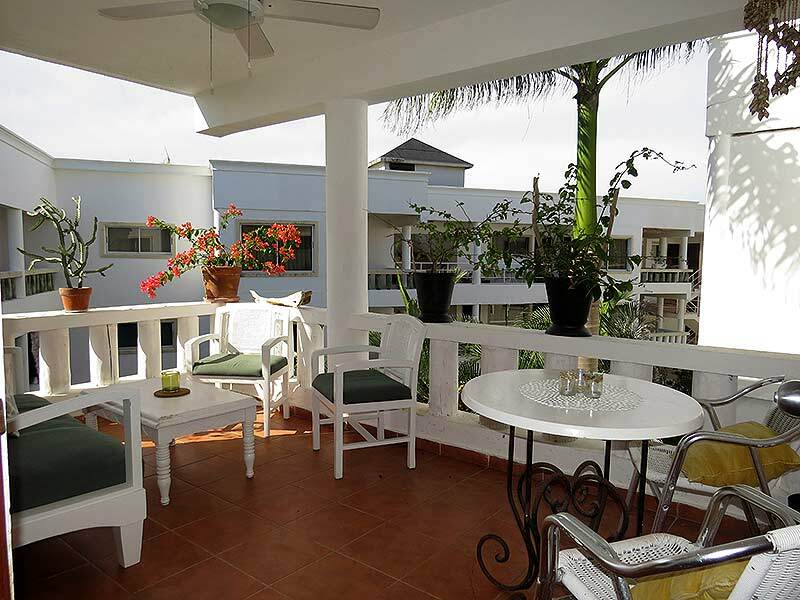 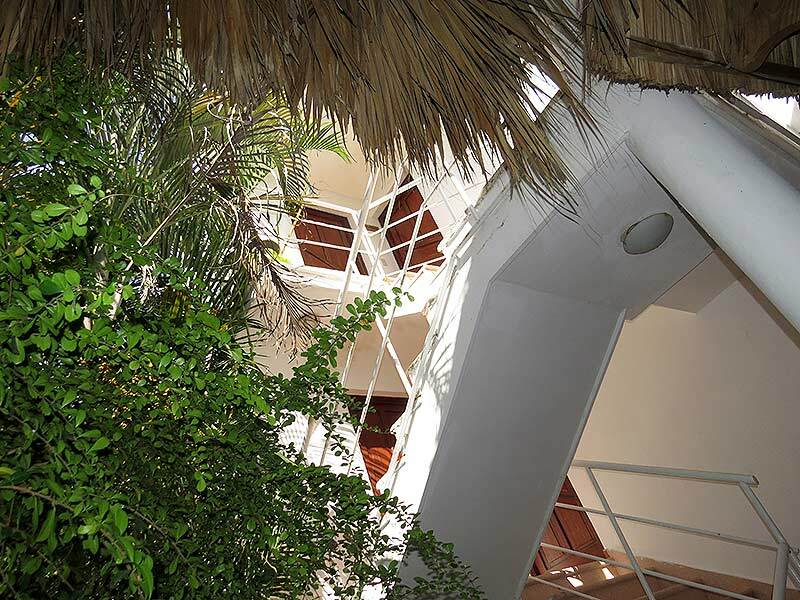 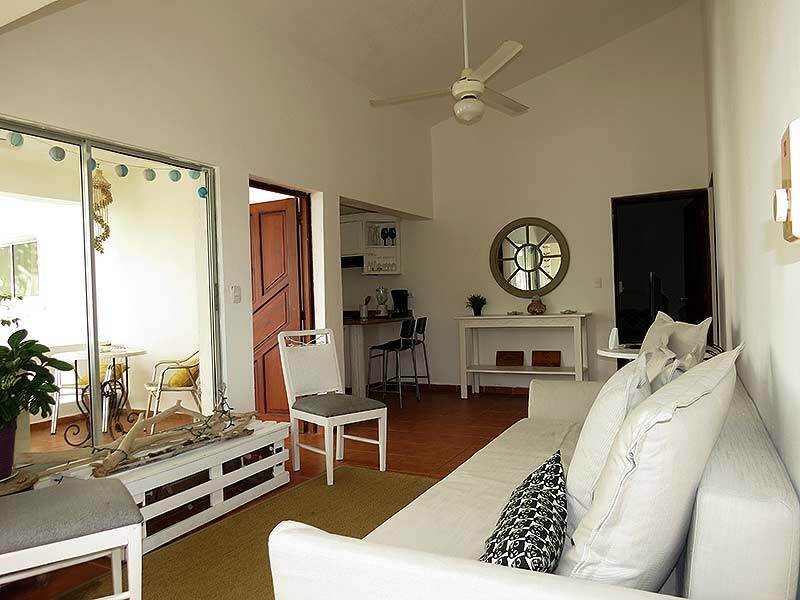 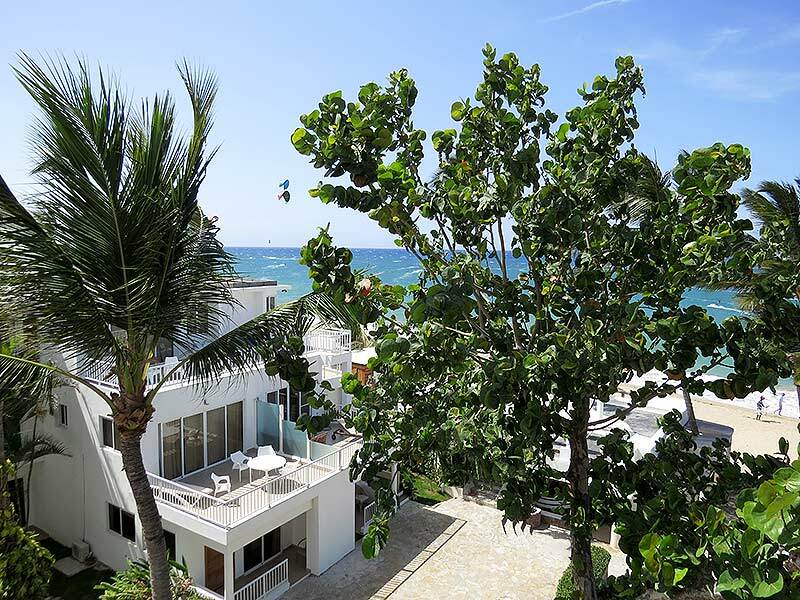 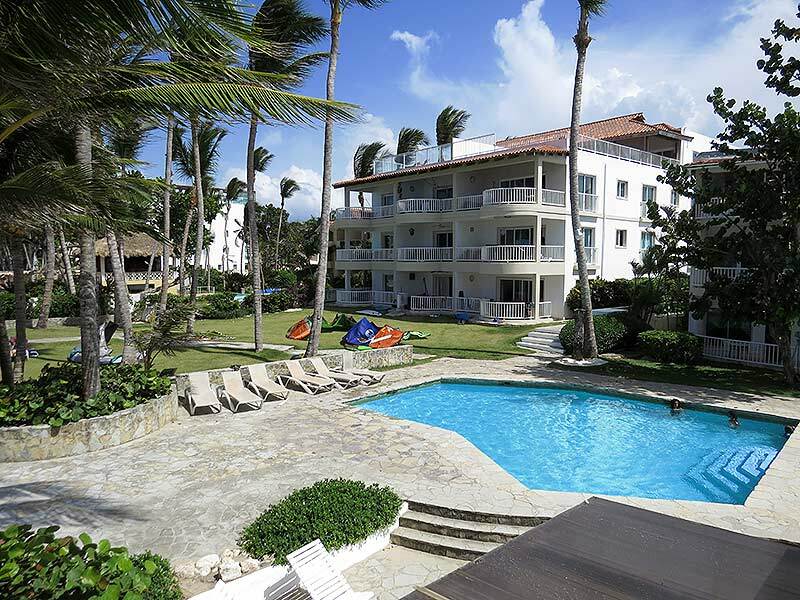 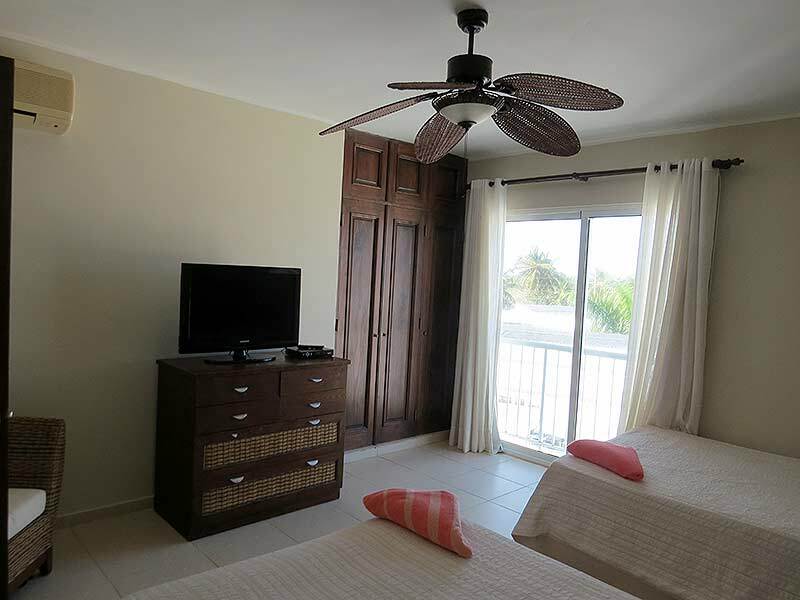 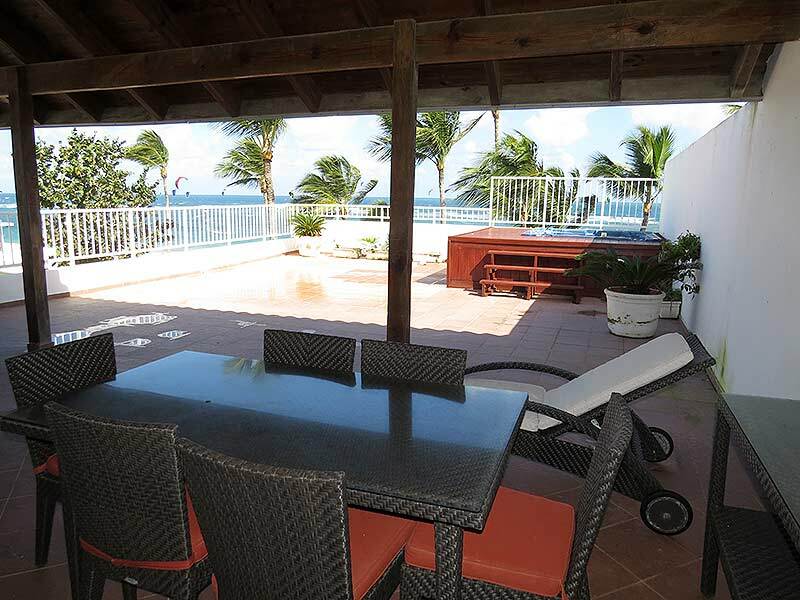 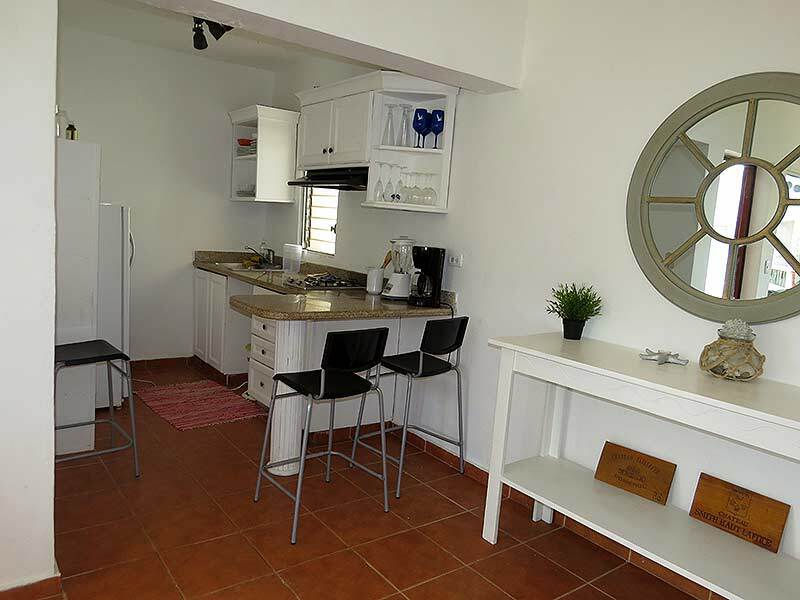 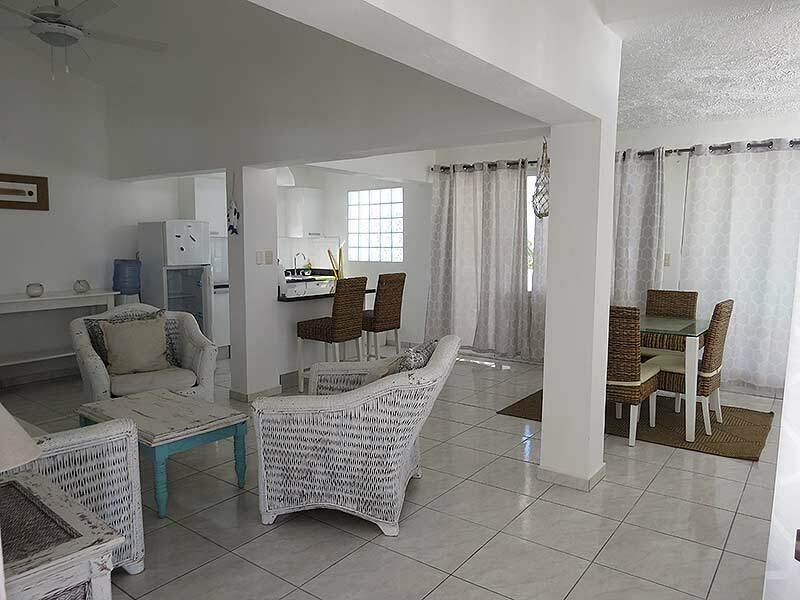 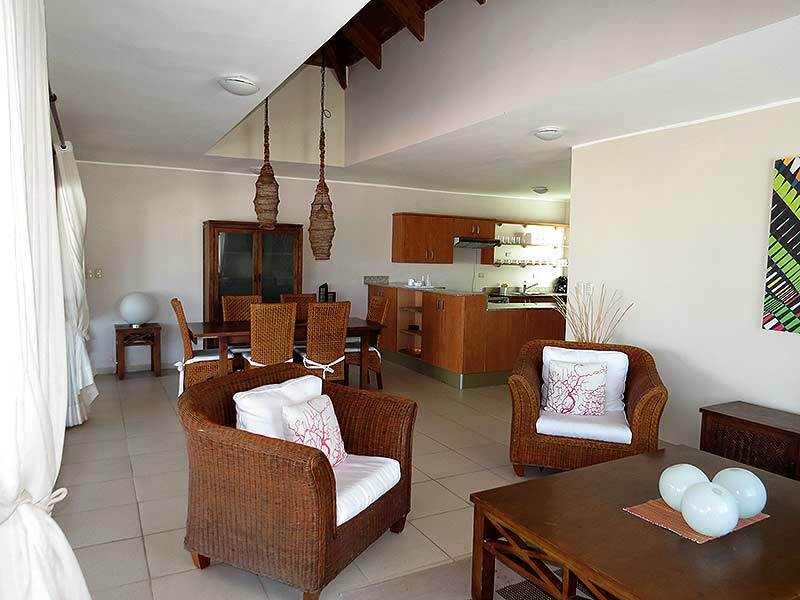 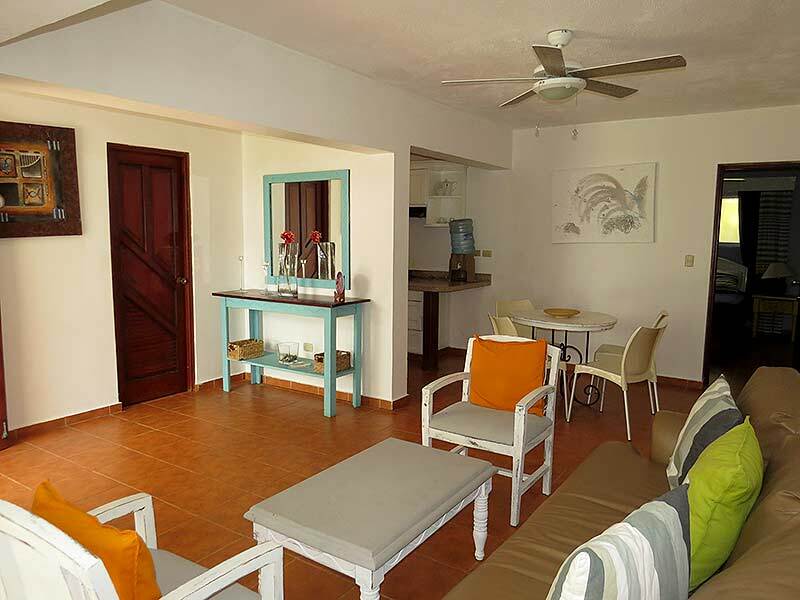 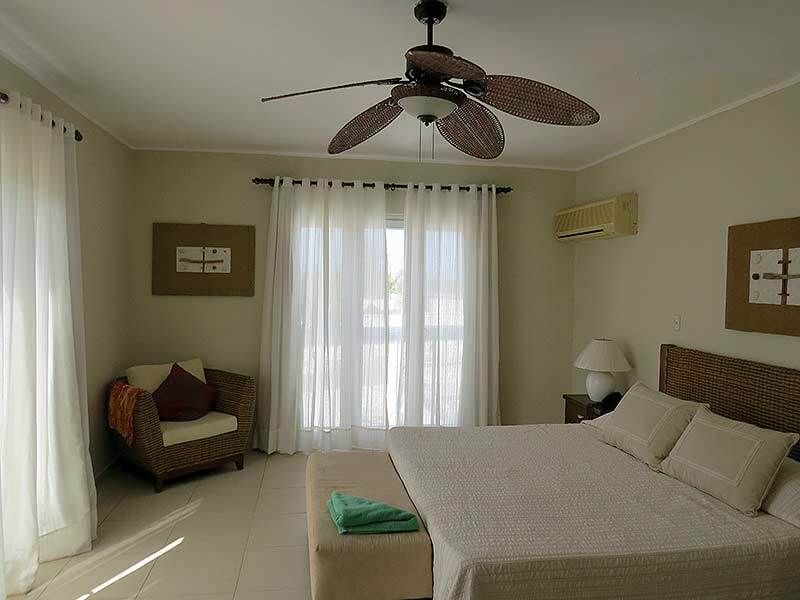 Located right at the center of Kite Beach Cabarete, each condo is just a few steps from the warm, Caribbean waters. 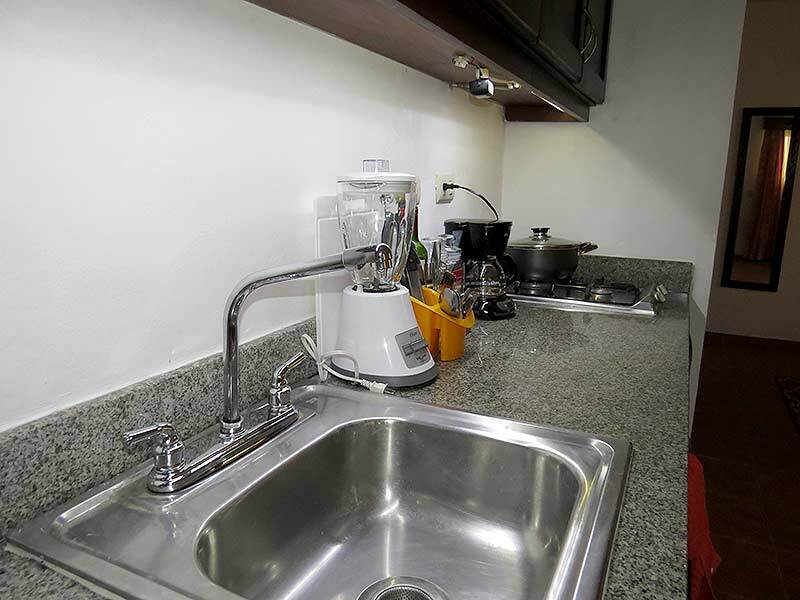 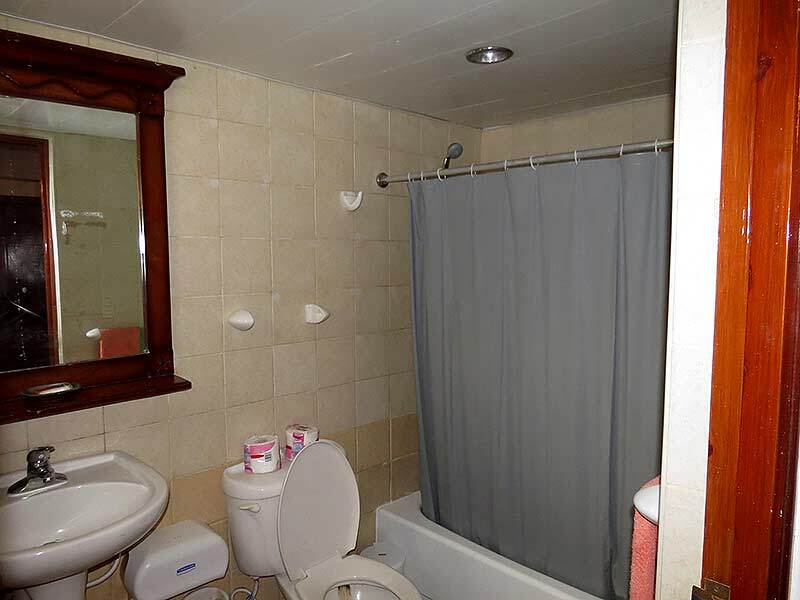 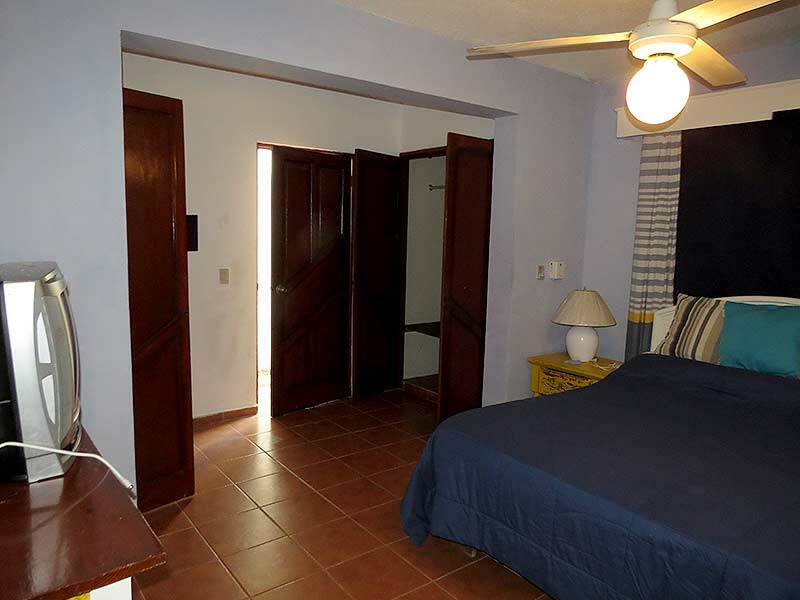 The Condominium complex offers swimming pool, deck’s, chairs, garden and kite pack down area, has round-the-clock security and fiber optic Internet. 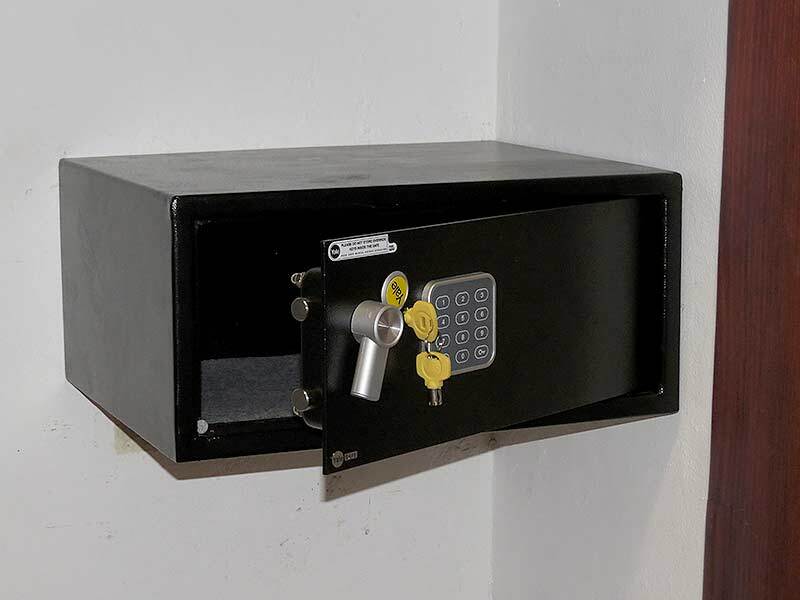 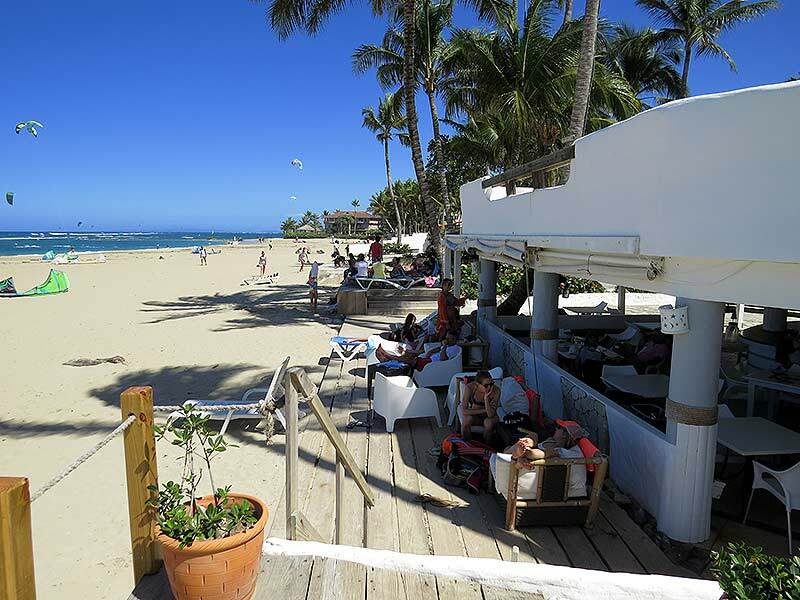 The entire area of downtown Cabarete is known to be safe. 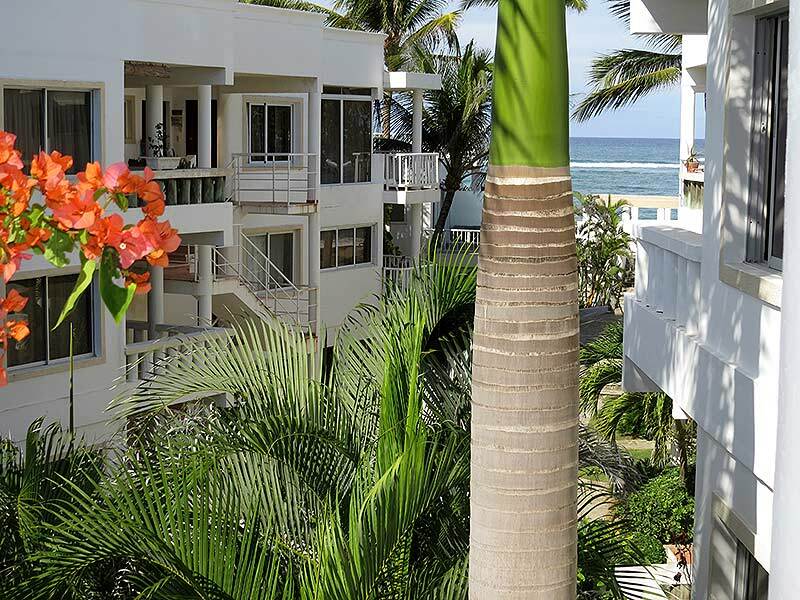 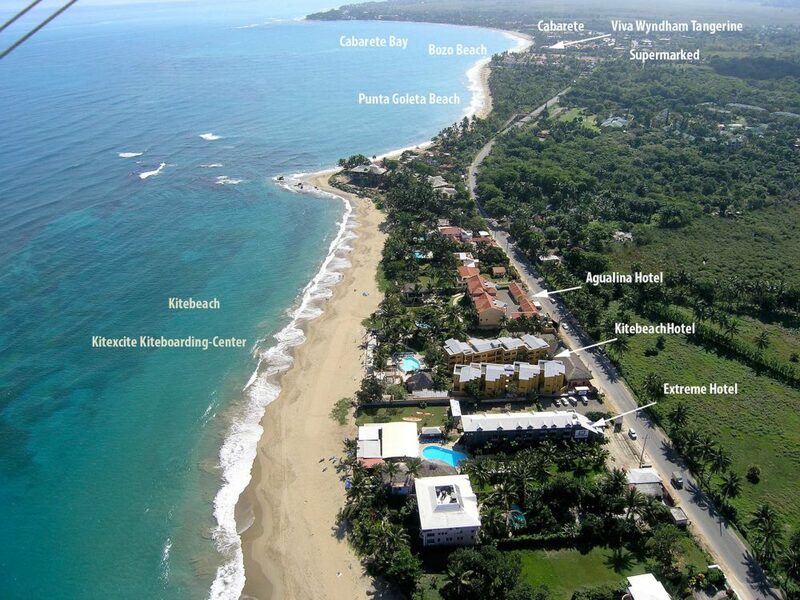 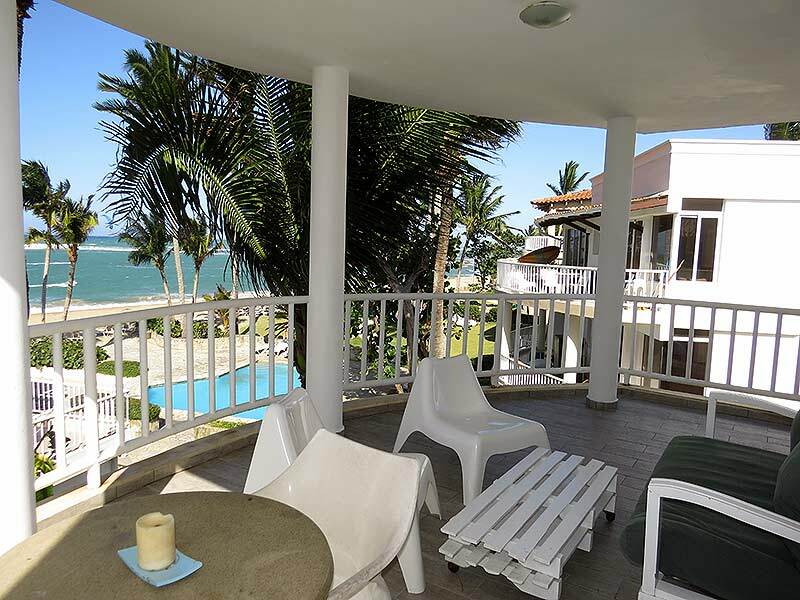 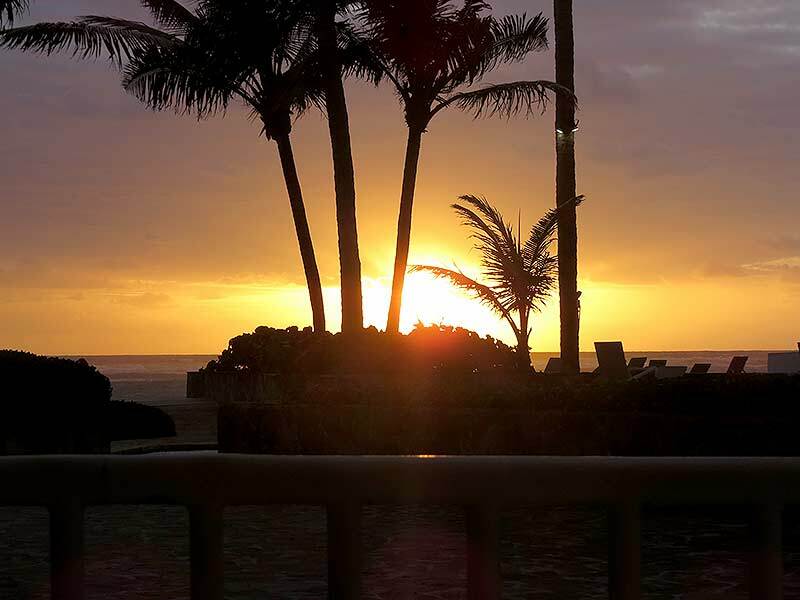 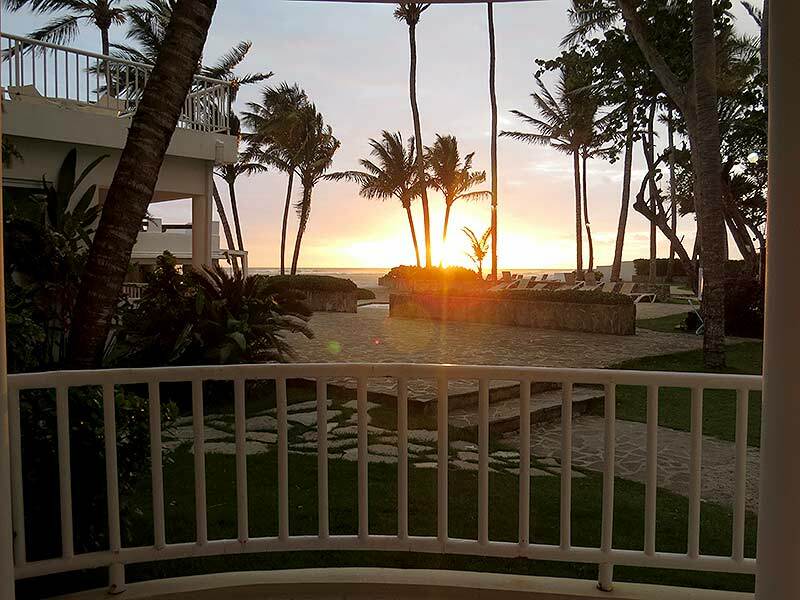 Previously Cabarete was a fishing village that is a 20 minute walk along the beach from the condominium. 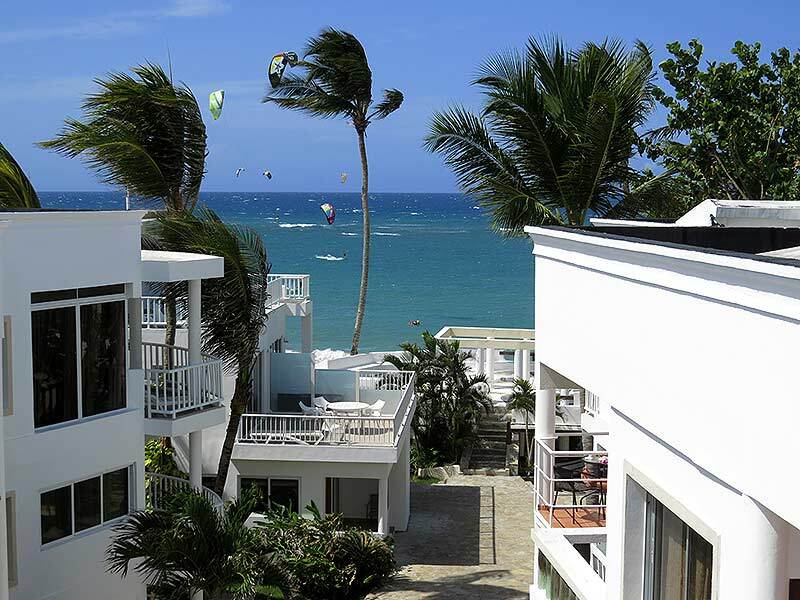 The town is still small enough to retain its charm but, large enough to provide tourists and permanent residents with many restaurant and shopping choices. 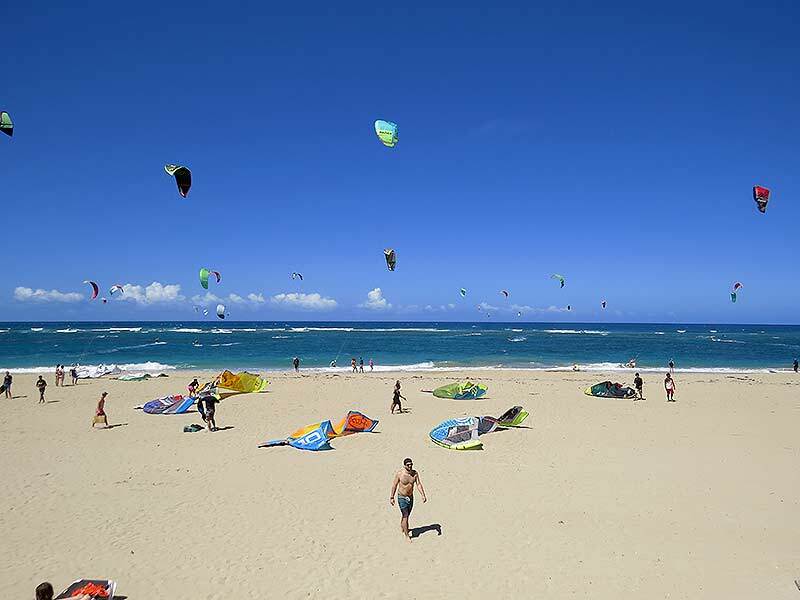 This attractive beach destination is well known in Europe, but is still off track to the US tourist. 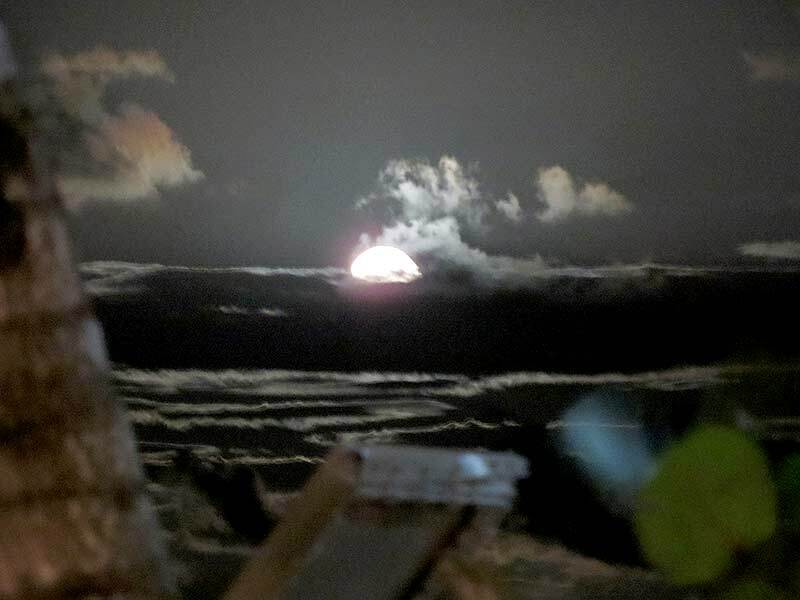 Very deep water in the Mona Passage and Pico Duarte the largest mountain in the Caribbean scaring hurricanes away from the North Cost of the Dominican Republic. 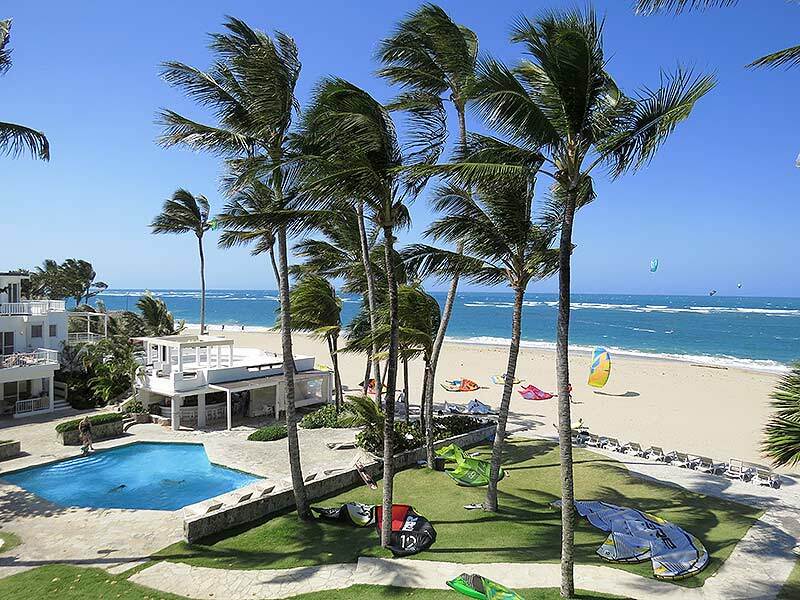 In the last 27 years I’m living Here we never saw a hurricane. 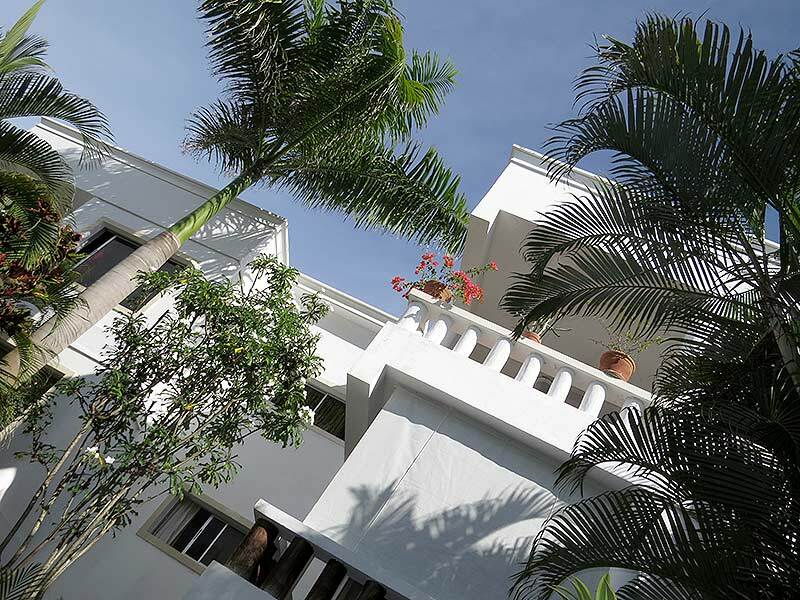 Soon or later clients from the US will figure that out and we may see a big increase in real estate and rental business. 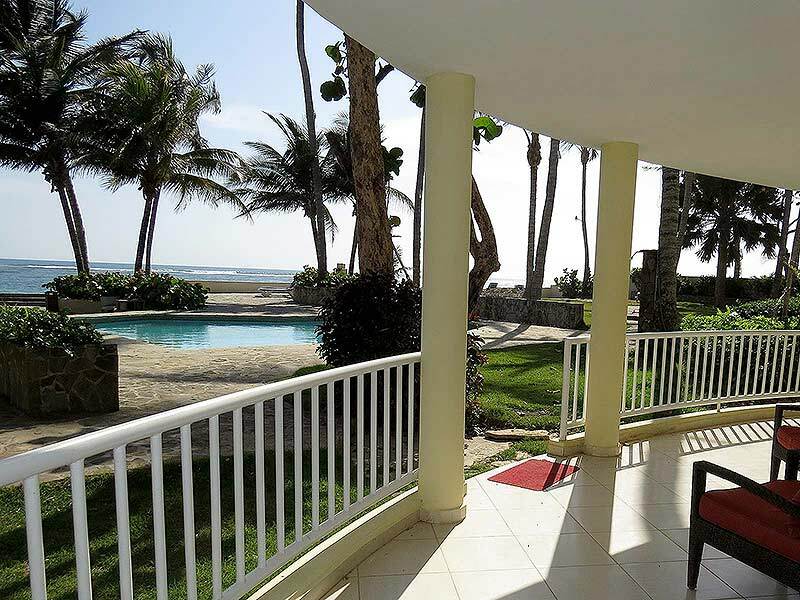 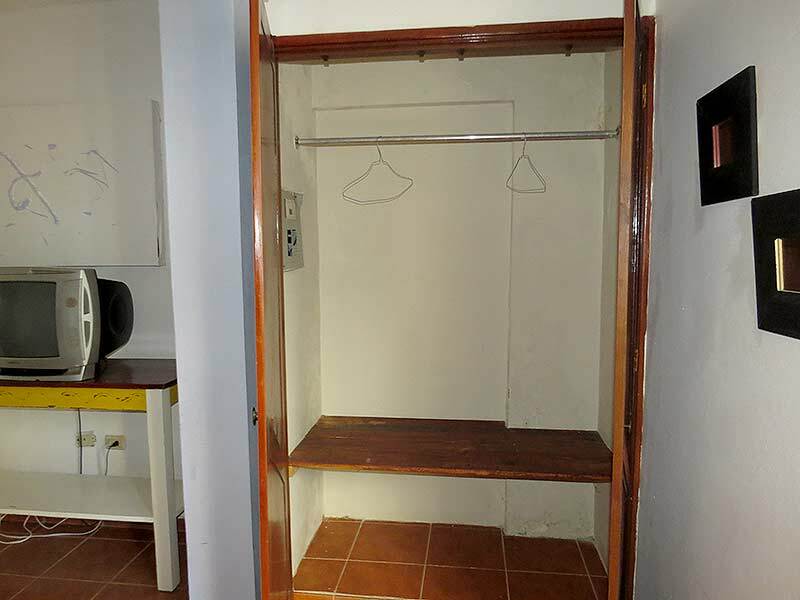 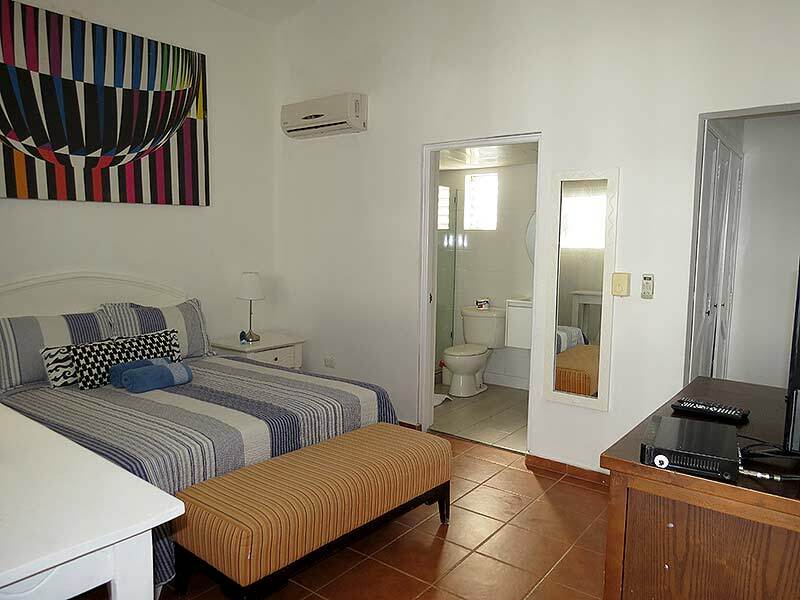 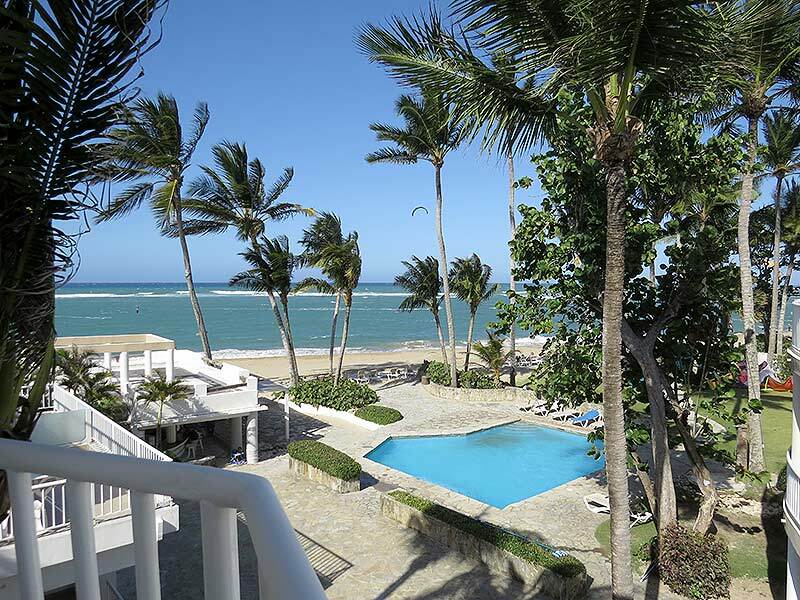 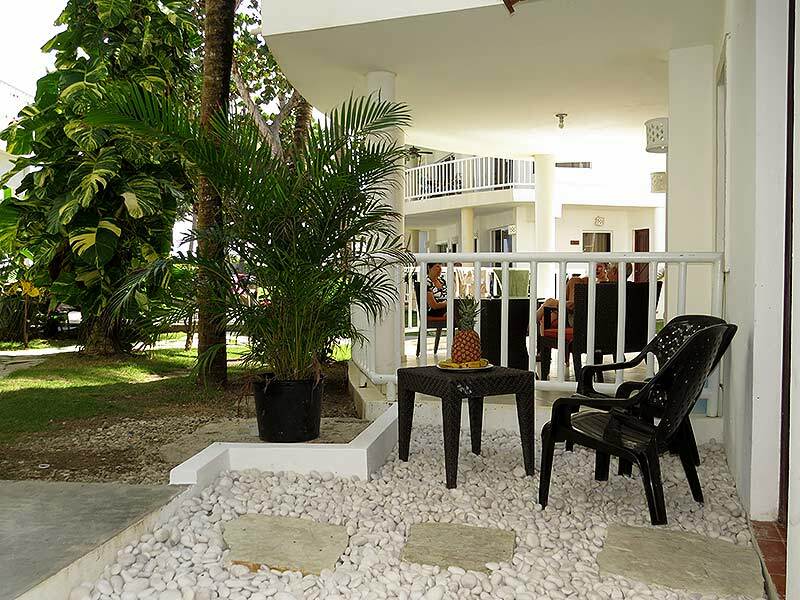 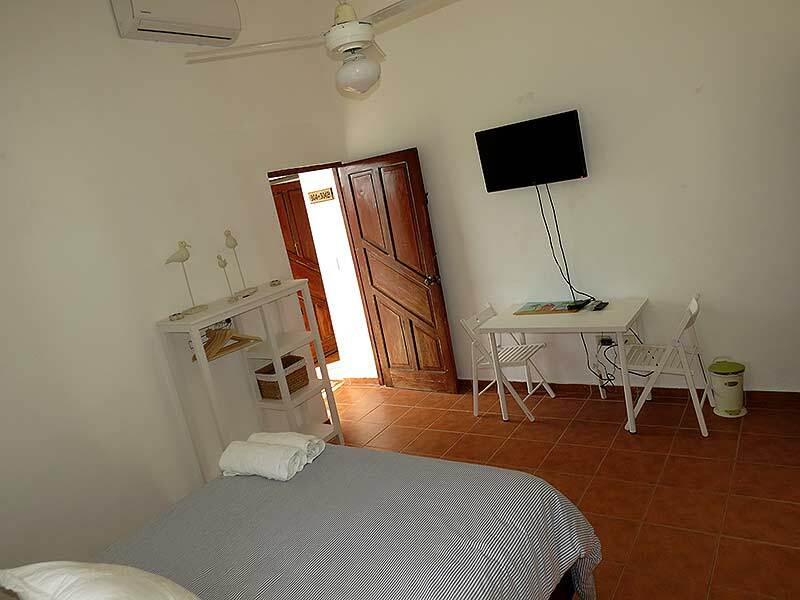 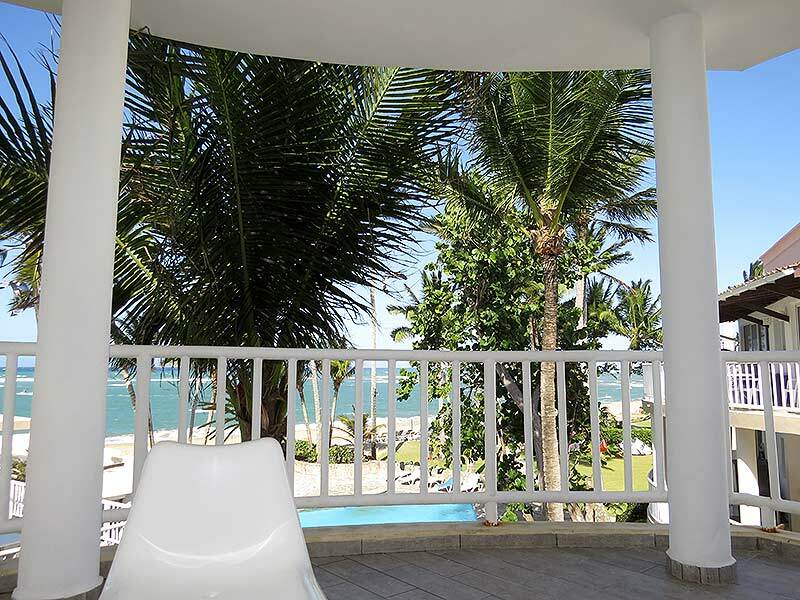 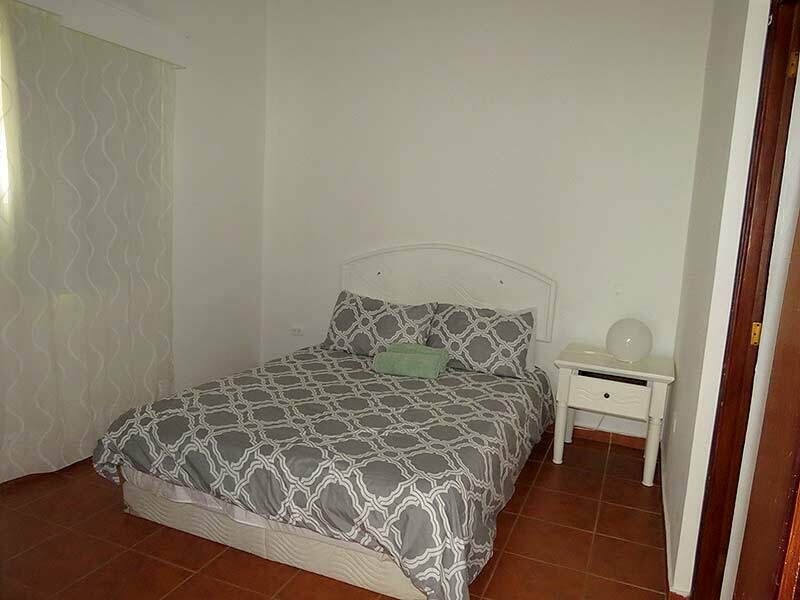 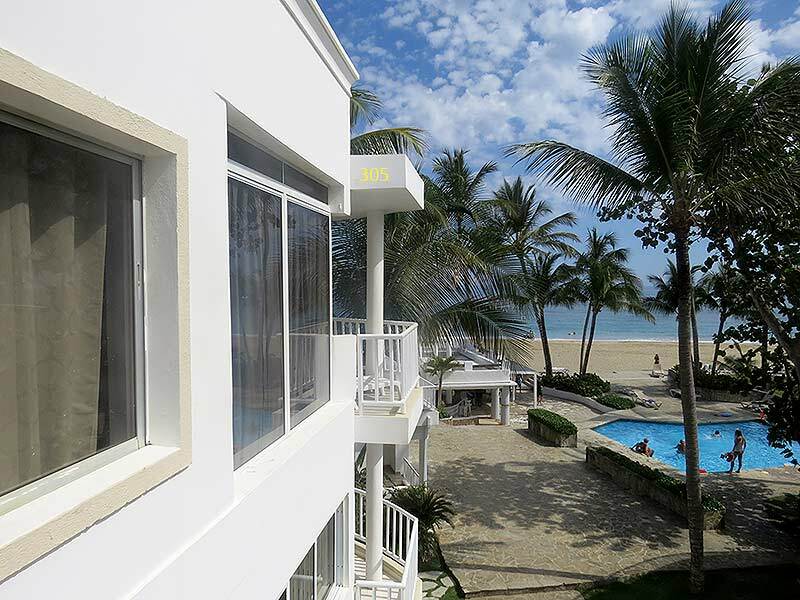 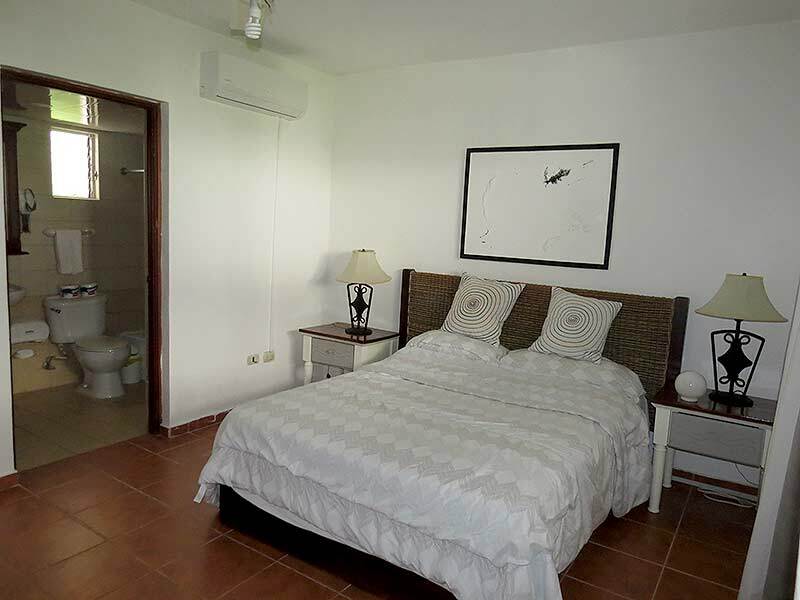 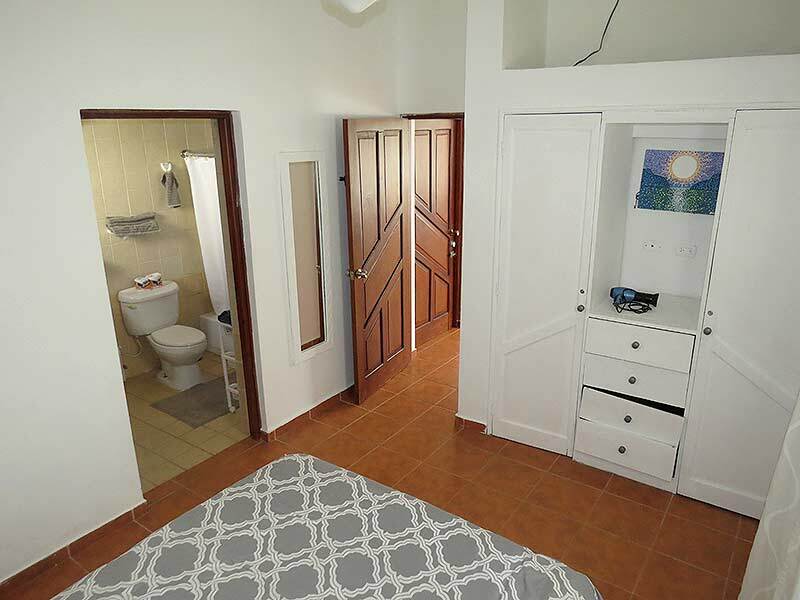 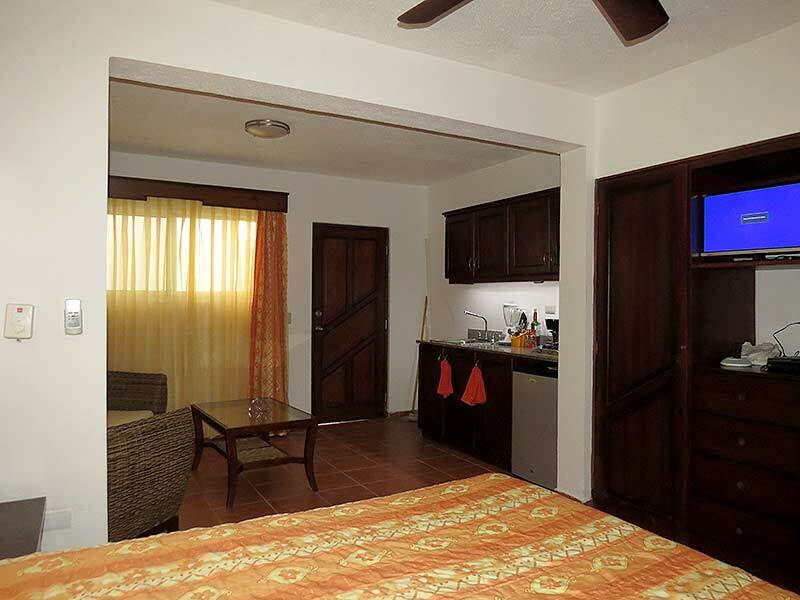 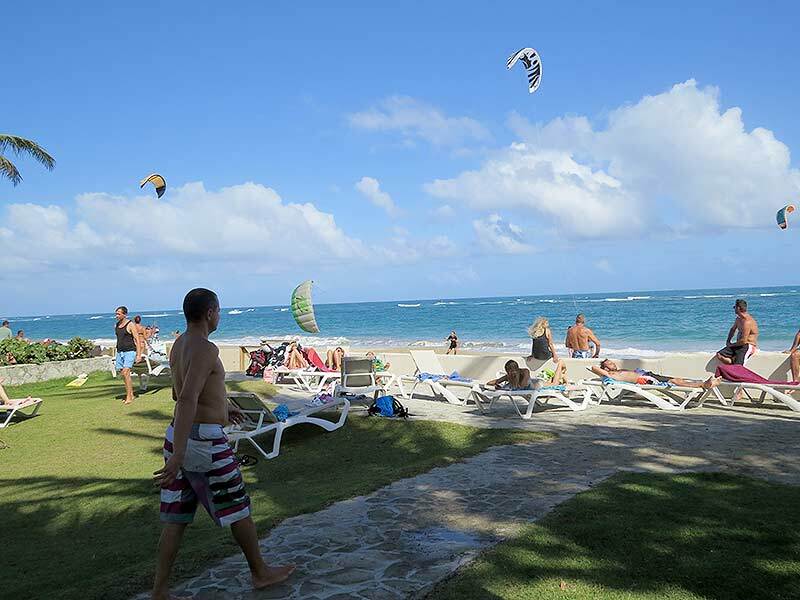 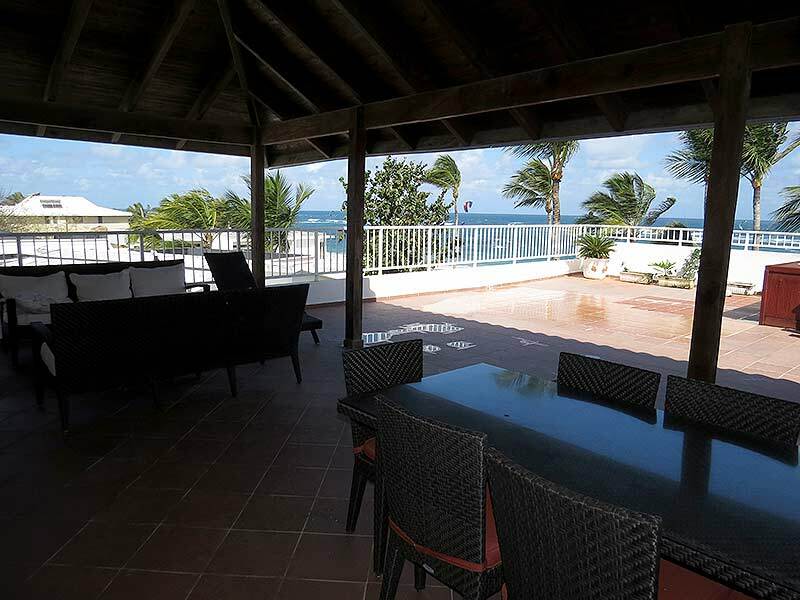 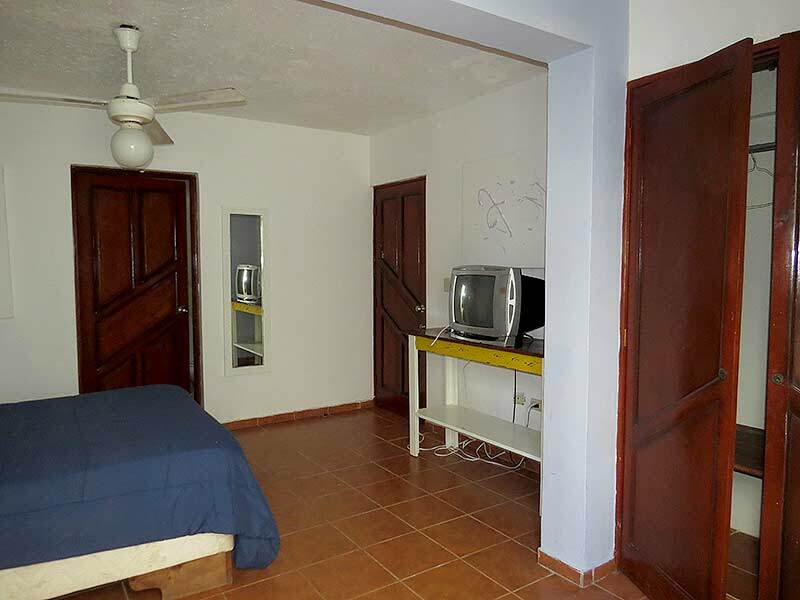 The closet airport in Puerto Plata POP is only a 25 minute cab ride from Kite Beach Condos (former KitebeachHotel). 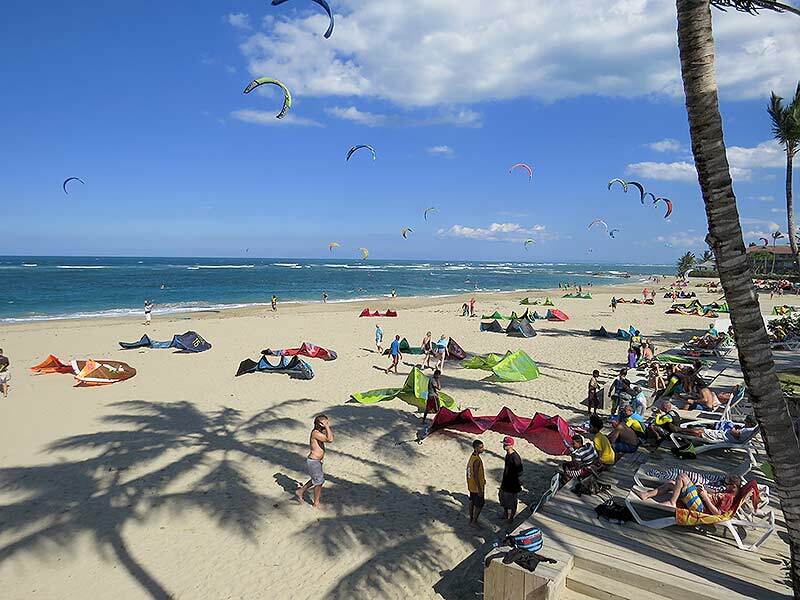 I was the first Kite boarder here and after the windsurfing schools in Cabarete beach didn’t want me to teach kiteboarding on the main beach of Cabarete. 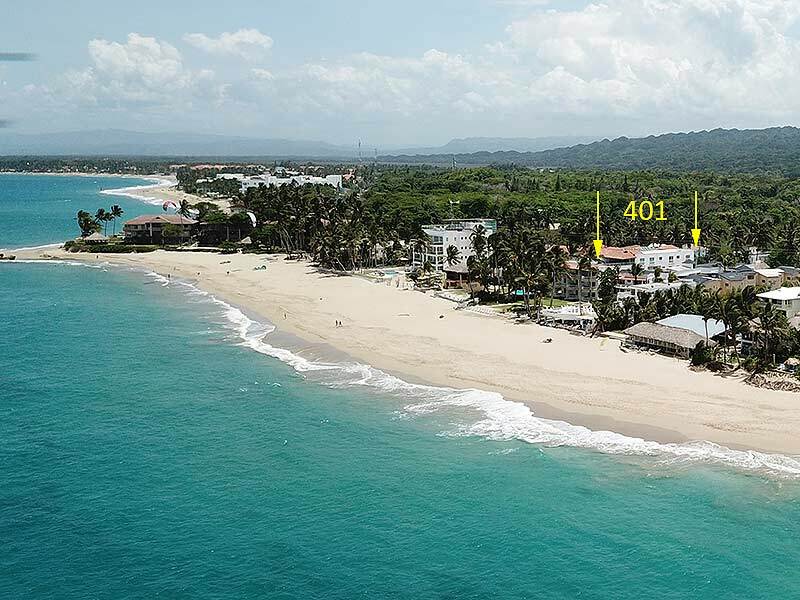 As a result I found this beach (1 mile, 1.6 km away from Cabarete beach) in 1998. 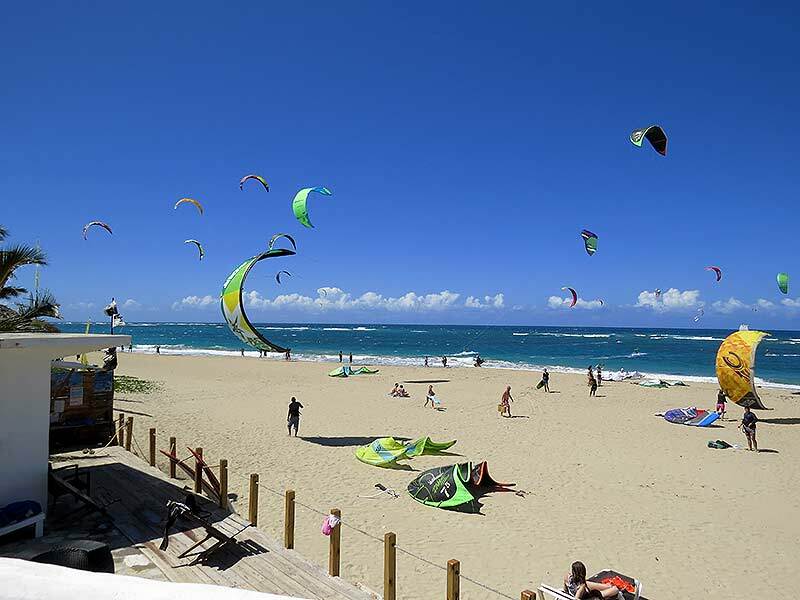 Probably Kitebeach is now on of the best 5 spots world-wide for kite surfing all year around and attracts competitors for a yearly kite surfing competition. 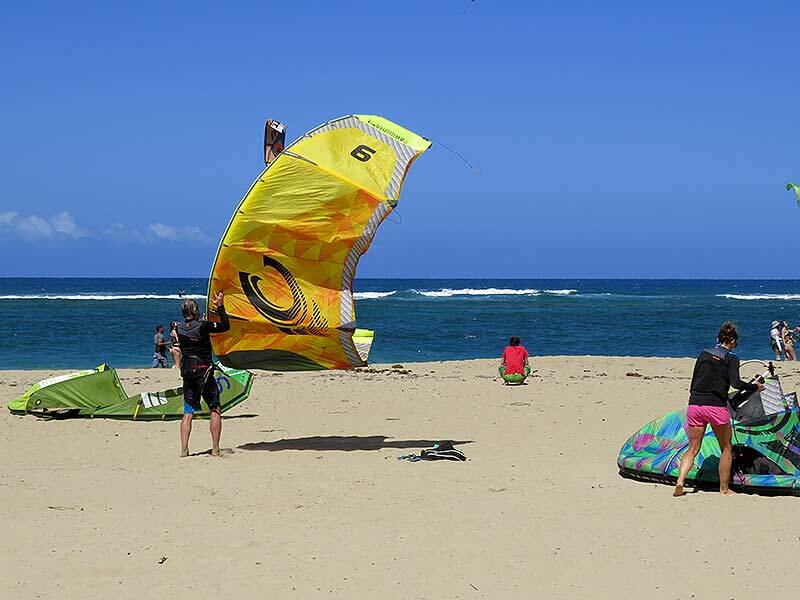 Therefore there is is no shortage of Kite centers or opportunities for kite surfing, wind surfing, paddle boarding. 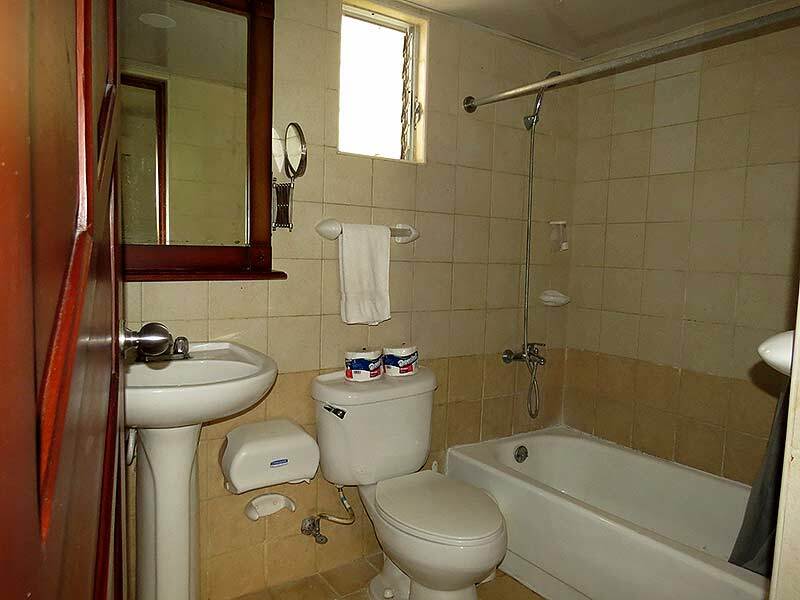 1 BEDROOM APARTMENT WITH ADJOINING STUDIO. 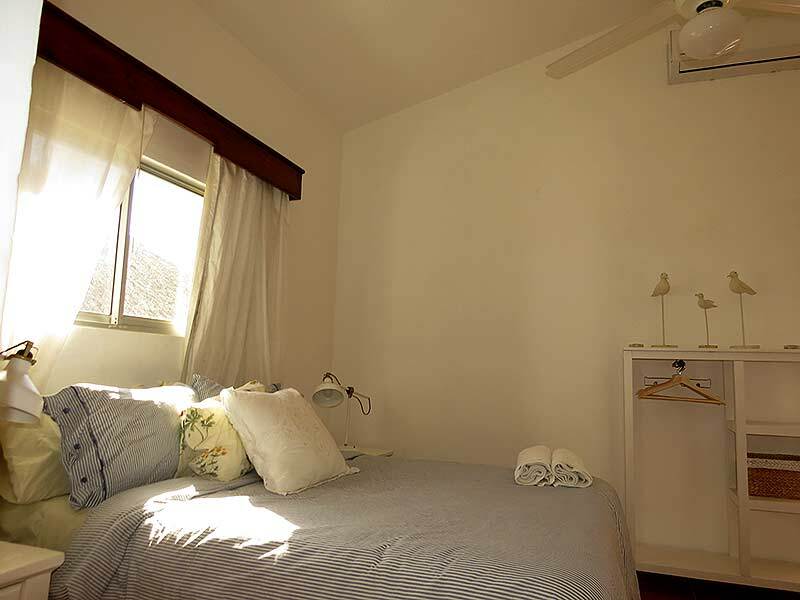 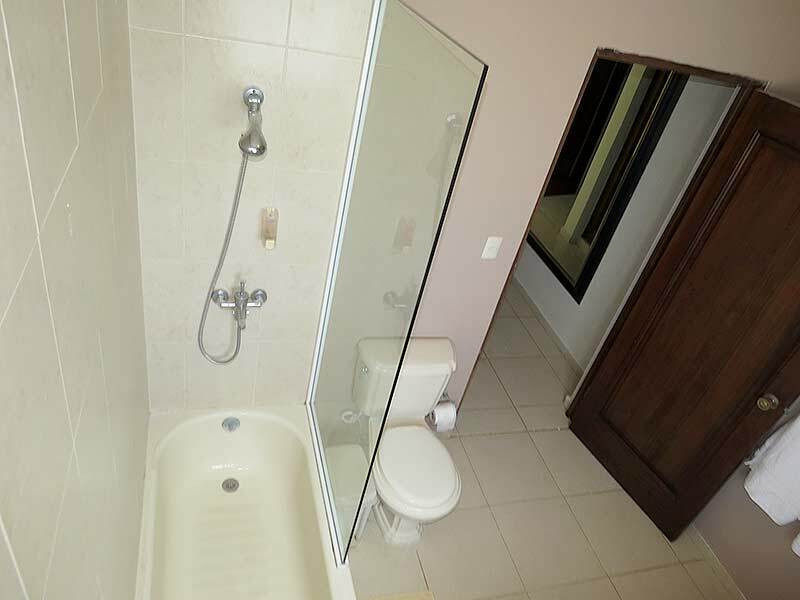 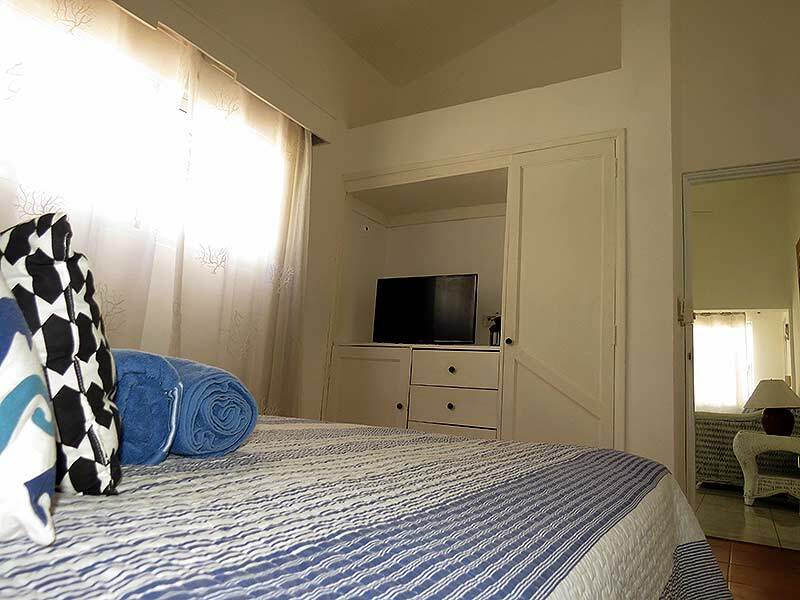 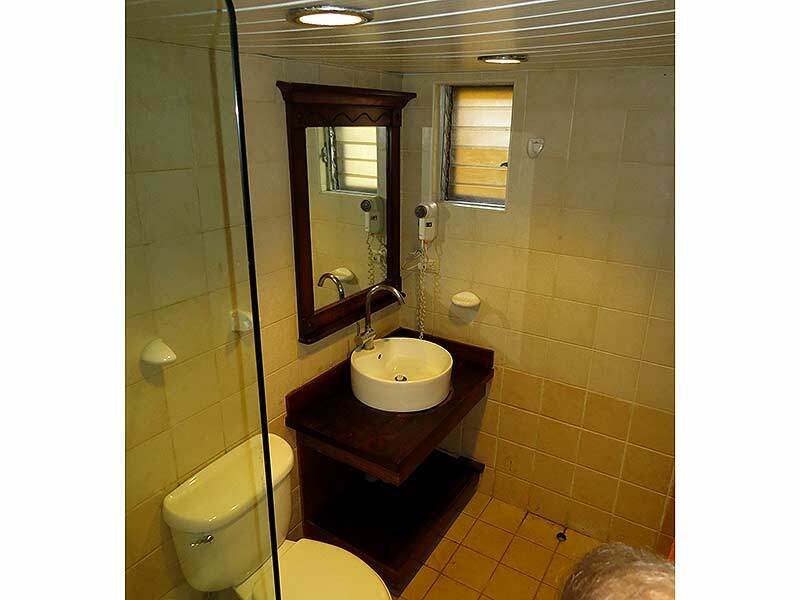 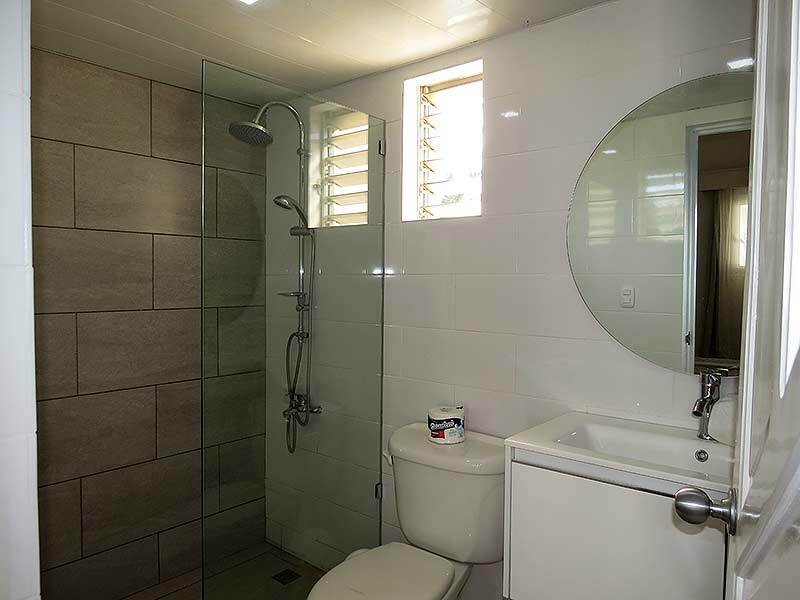 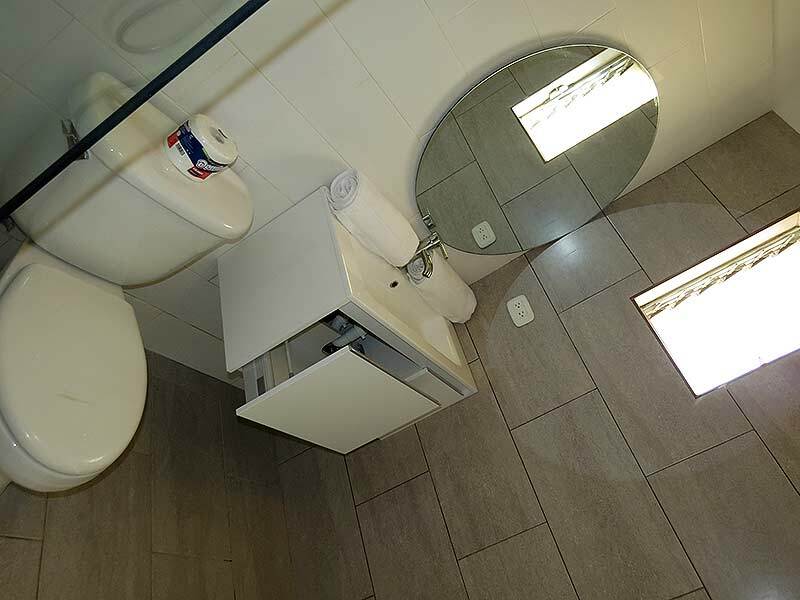 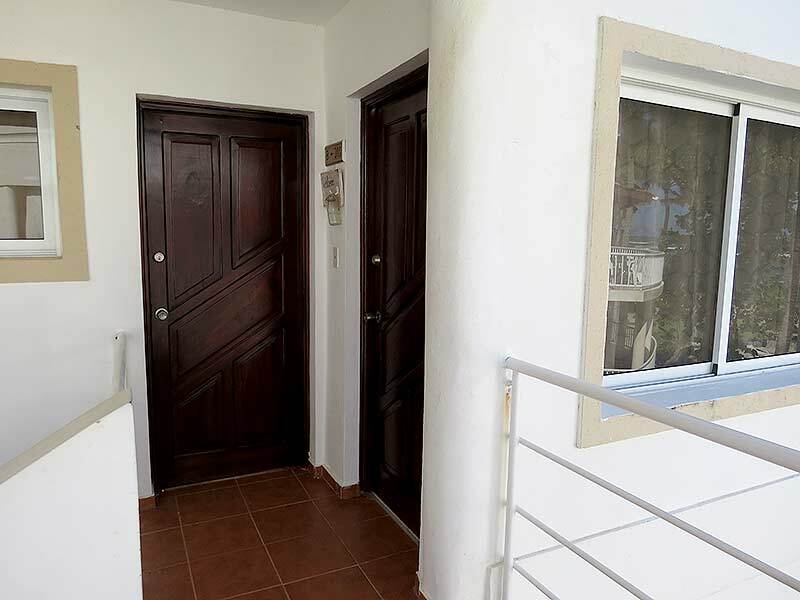 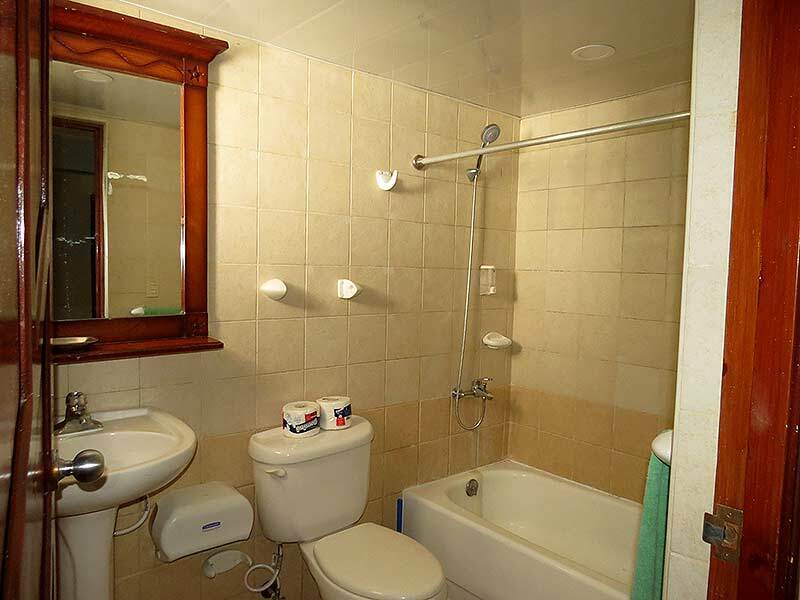 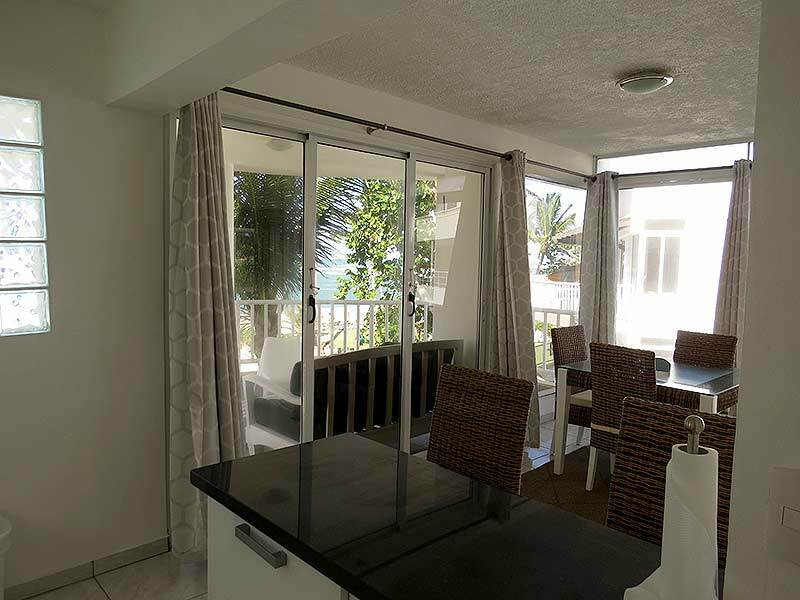 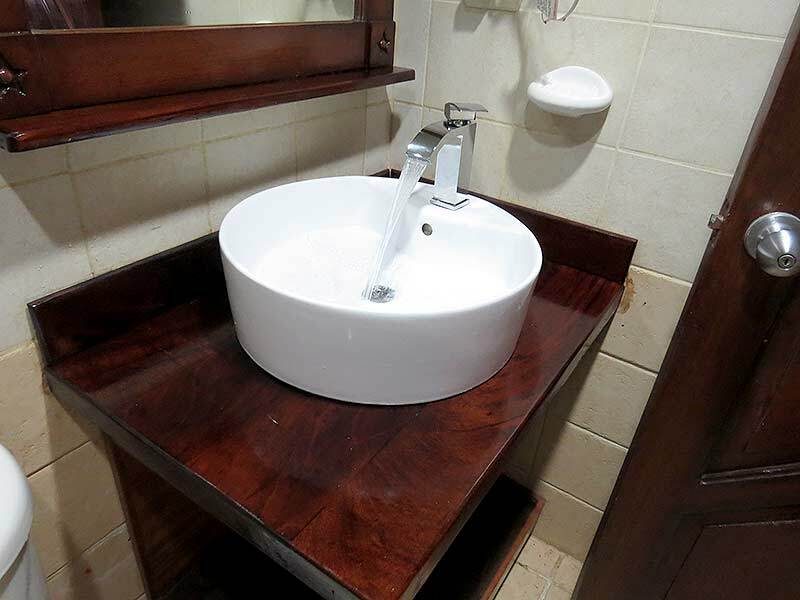 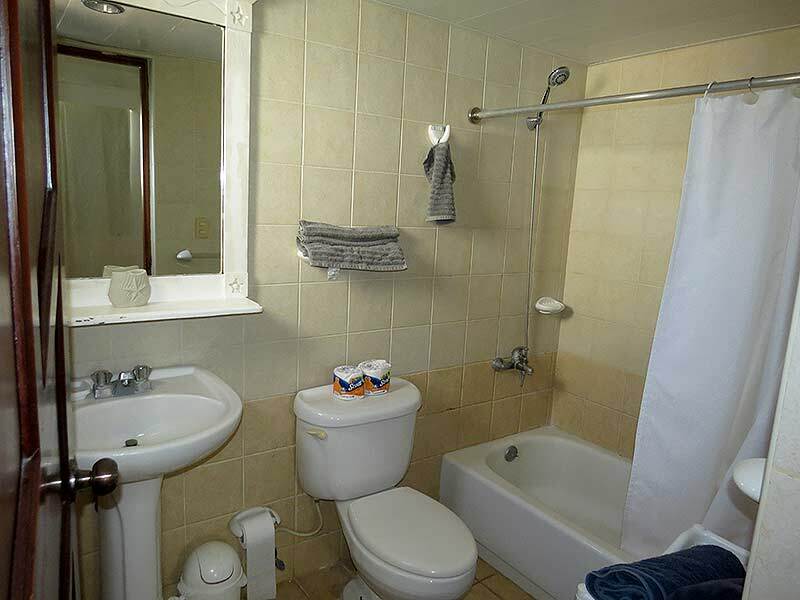 The adjoining unit [the B-side] is functionally independent with its own private entrance, bath/shower arrangements, small bedroom and kitchenette. 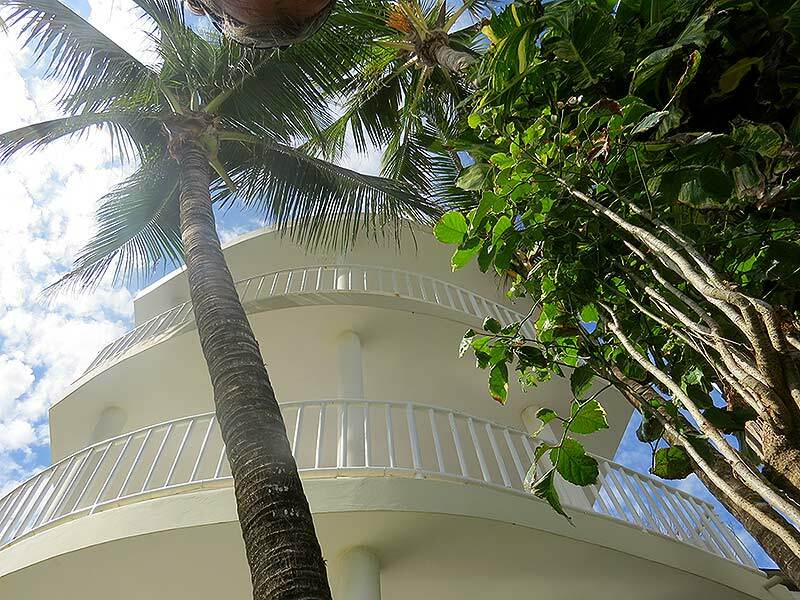 Low condo maintenance fees are another important consideration. 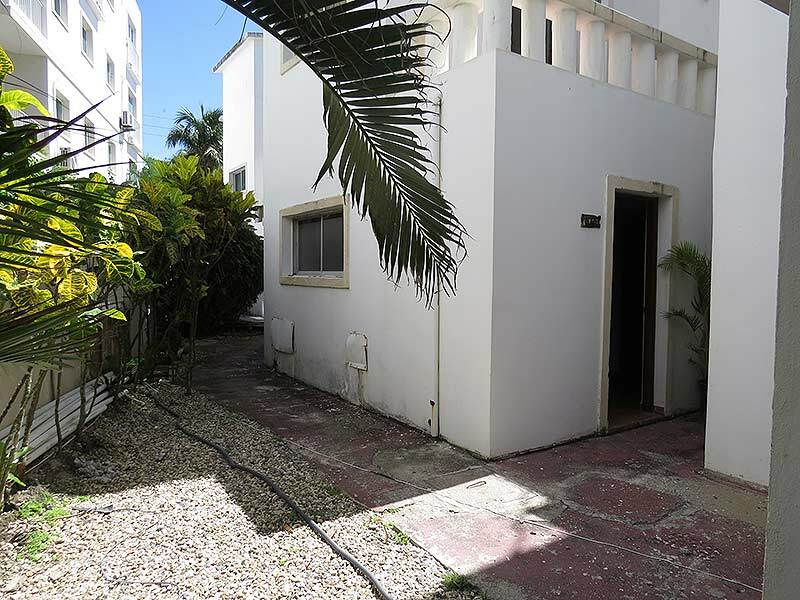 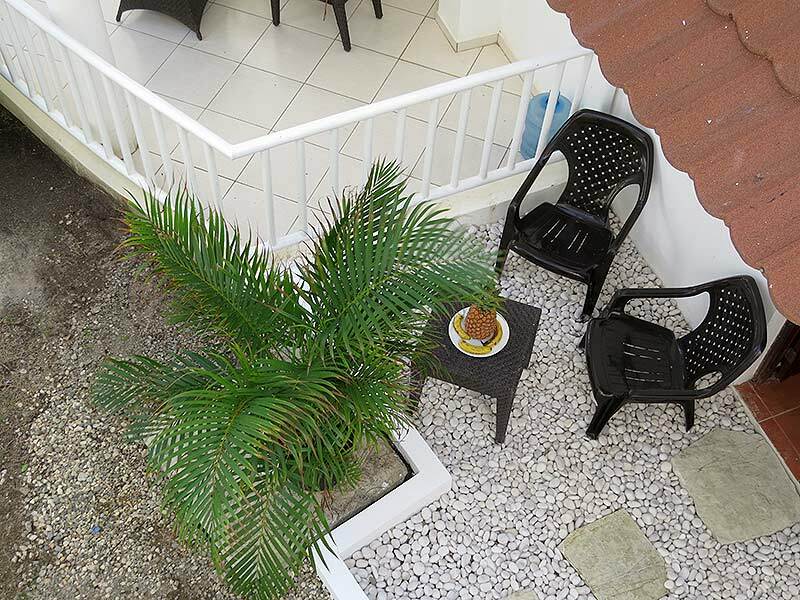 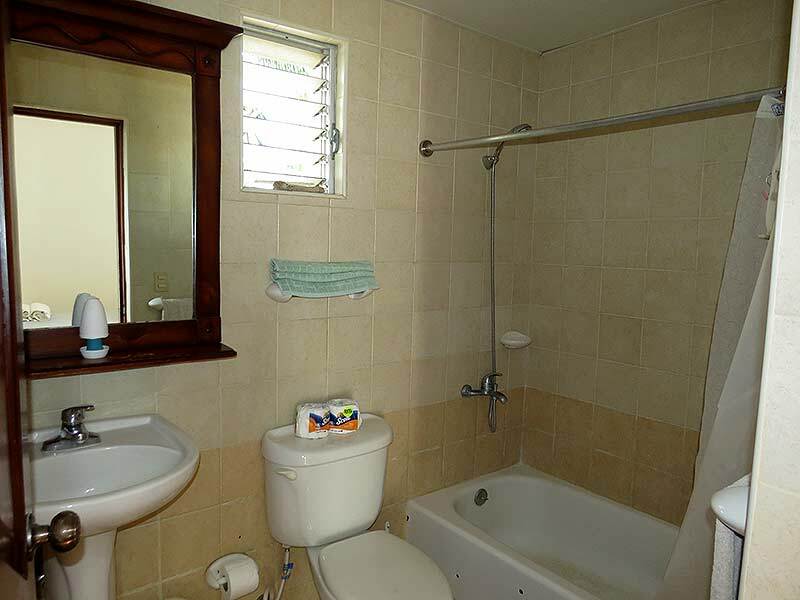 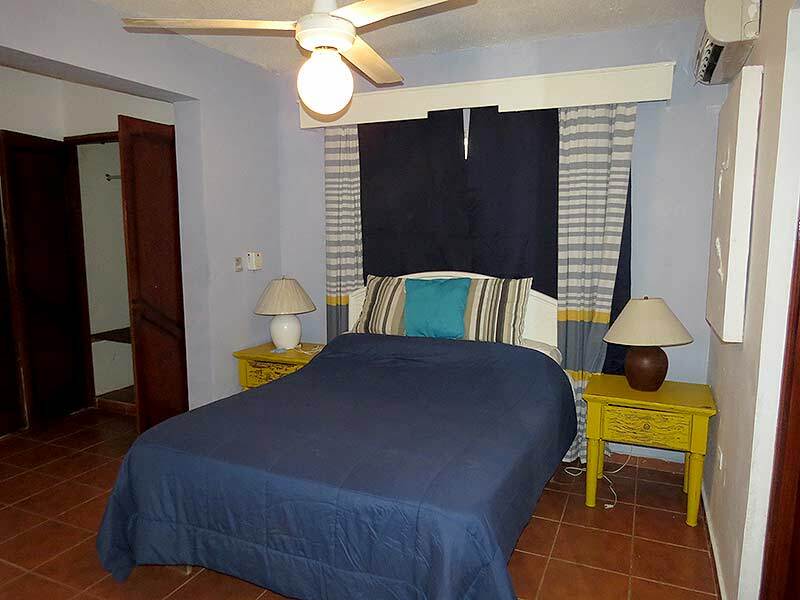 This property would be ideal for someone who wishes to live within view of the ocean and rent the smaller B-side unit for short stay renters. 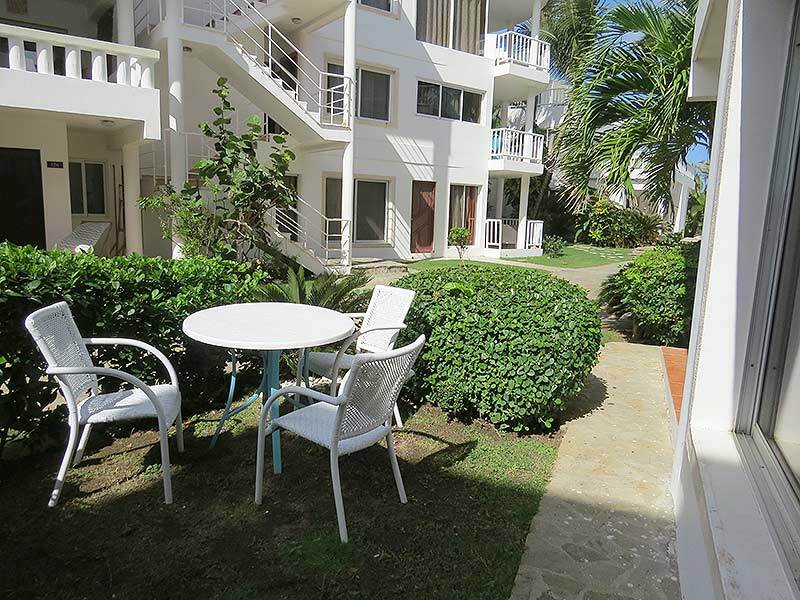 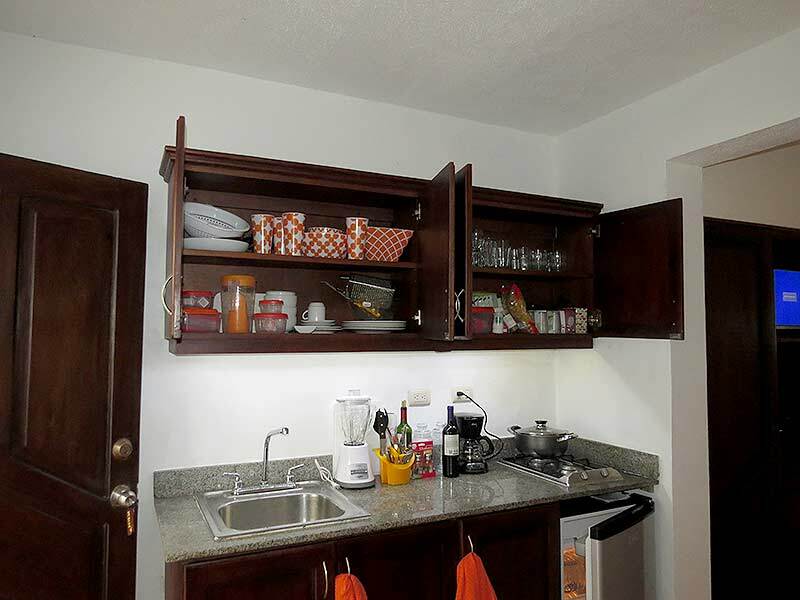 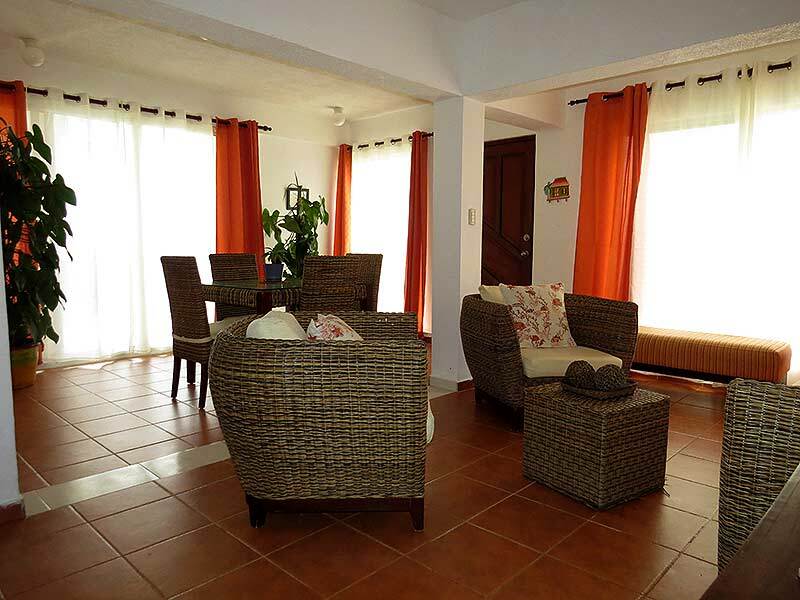 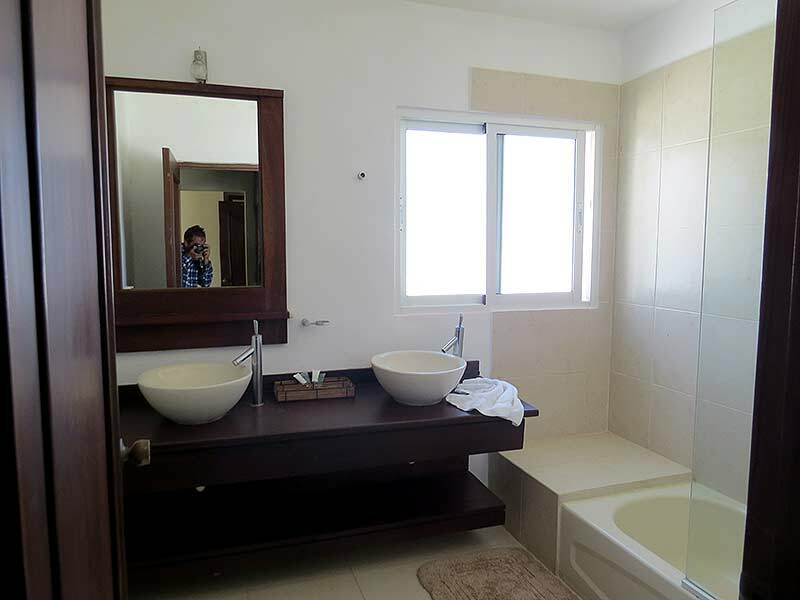 Beautiful 3rd floor Apartment with great ocean view located directly in the center of Cabarete’s Kite Beach just a few steps from the warm Caribbean waters. 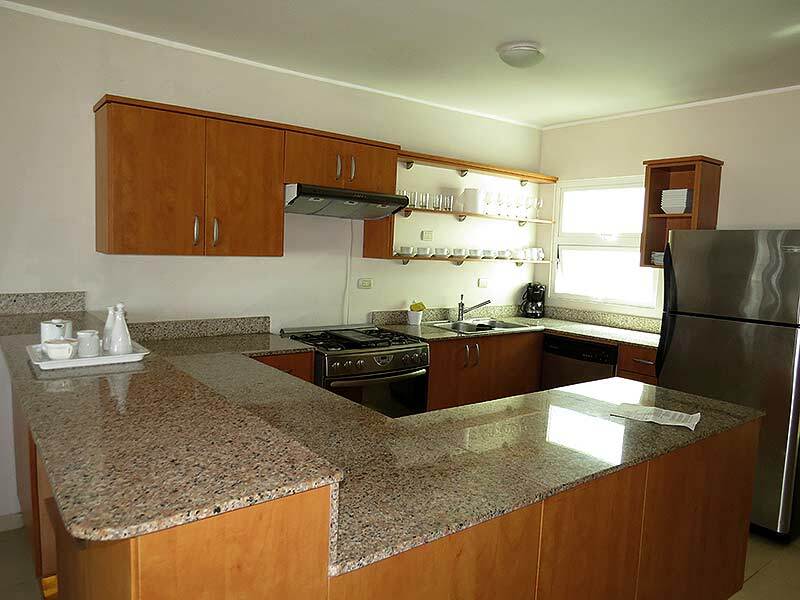 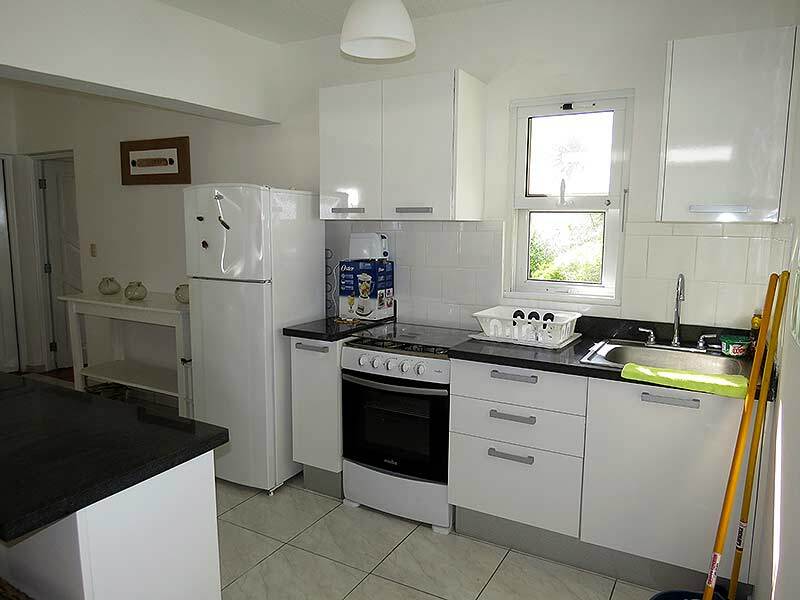 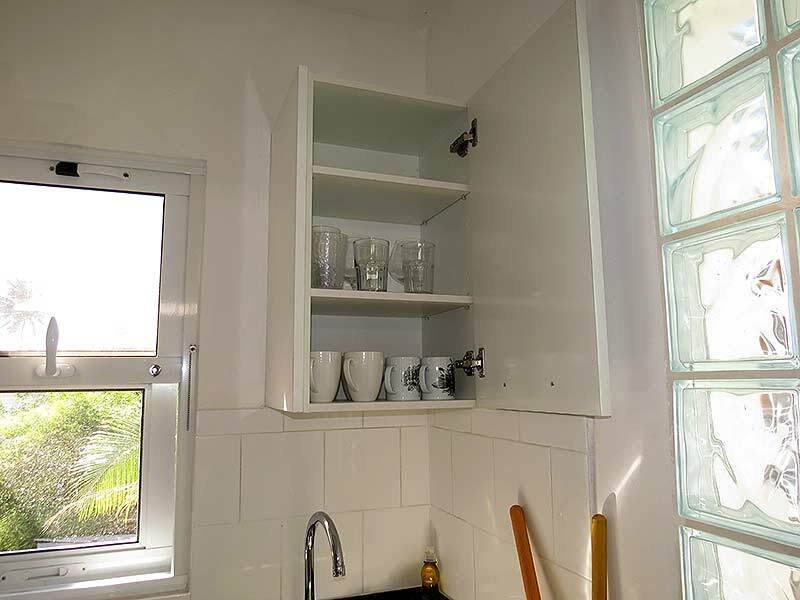 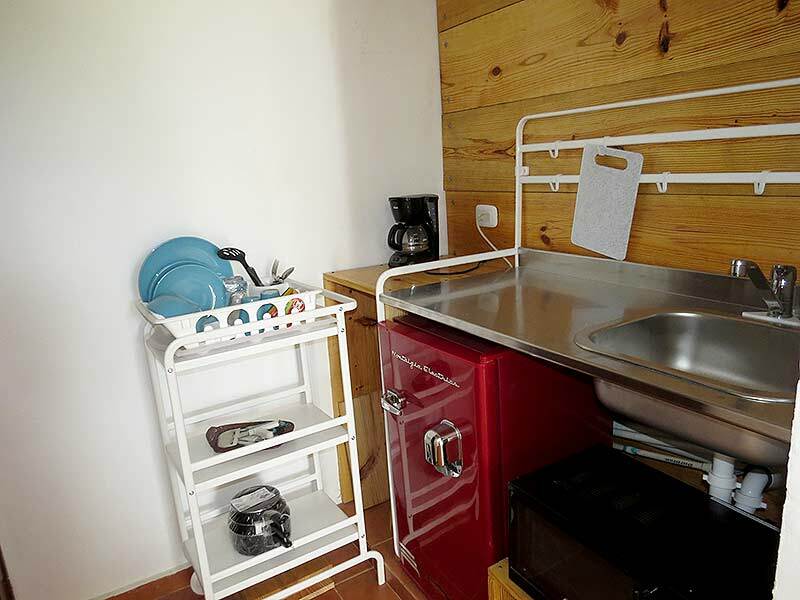 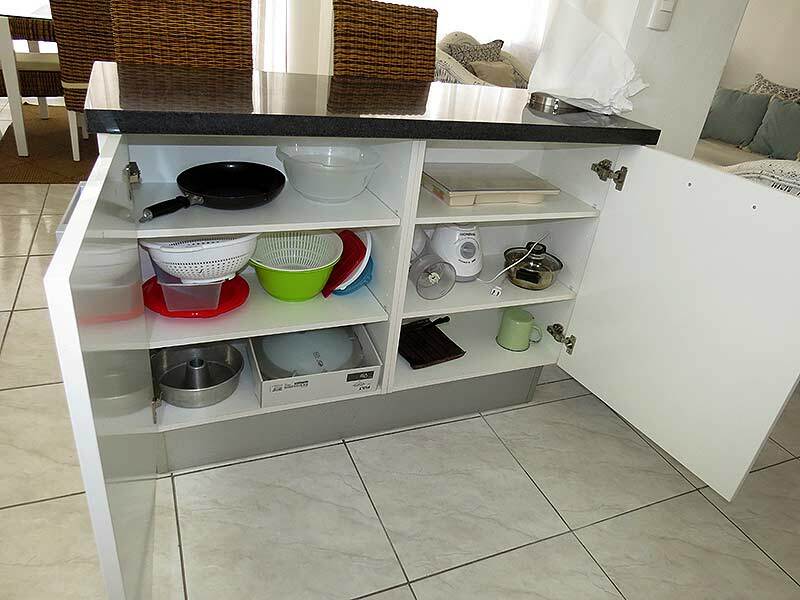 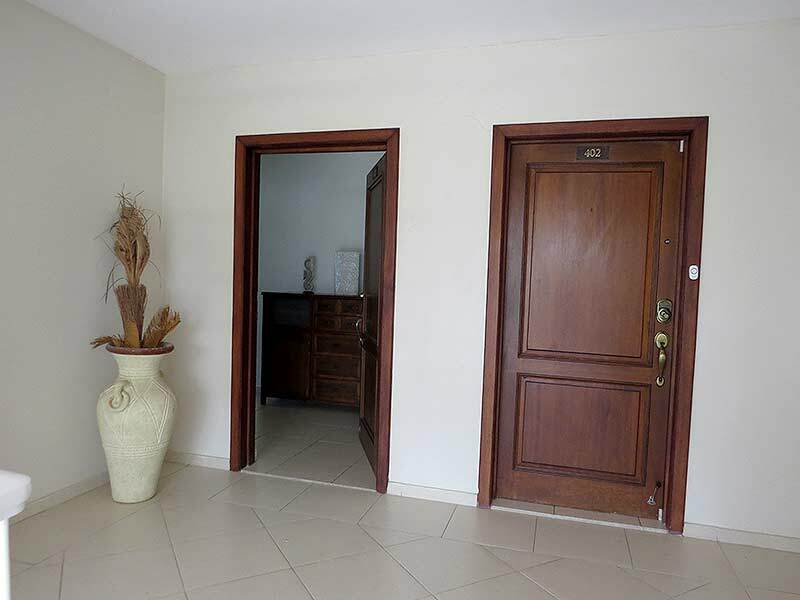 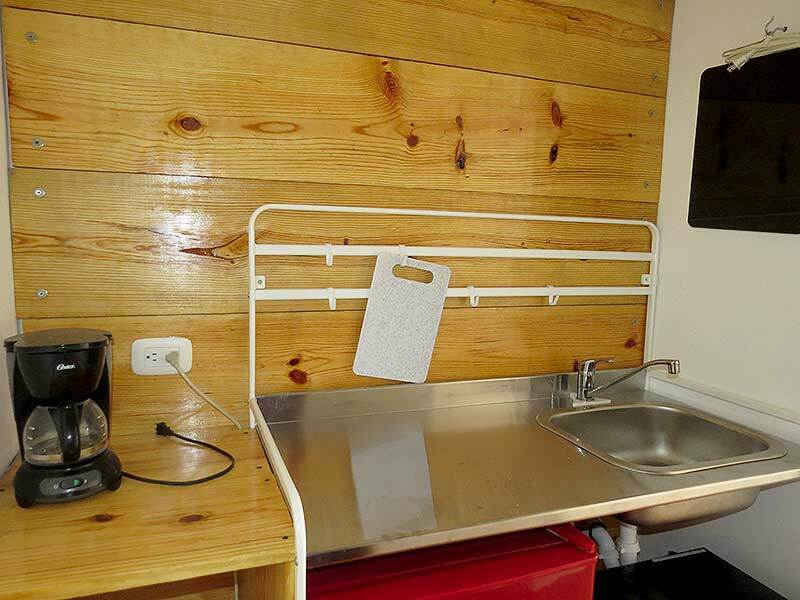 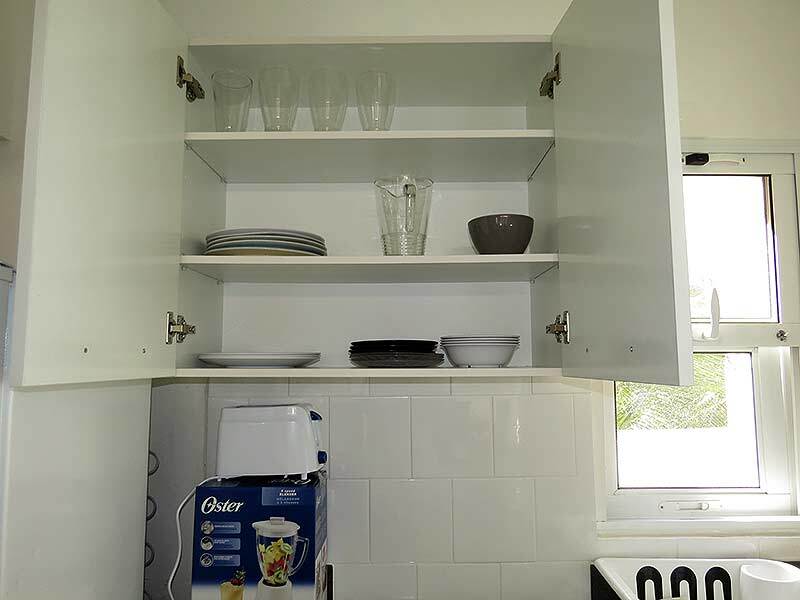 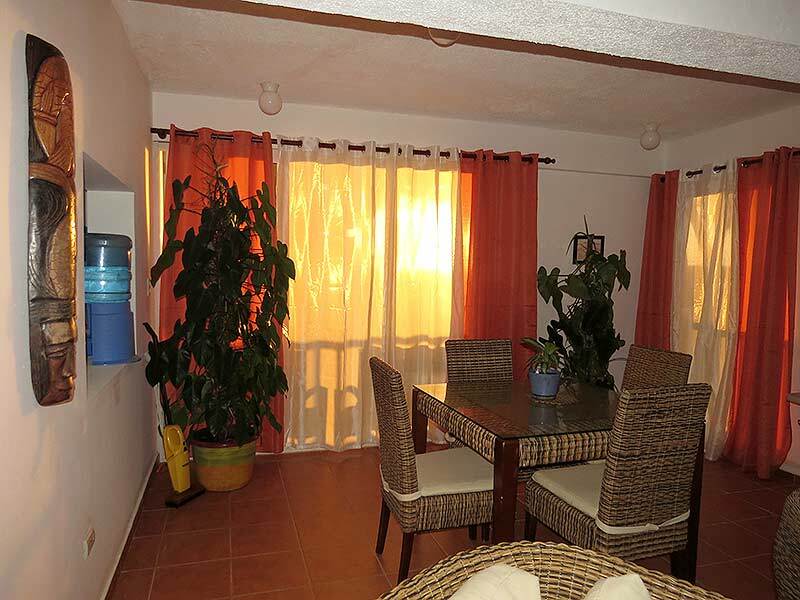 This unit can be rented as a 2 Apartment or 1 bedroom. 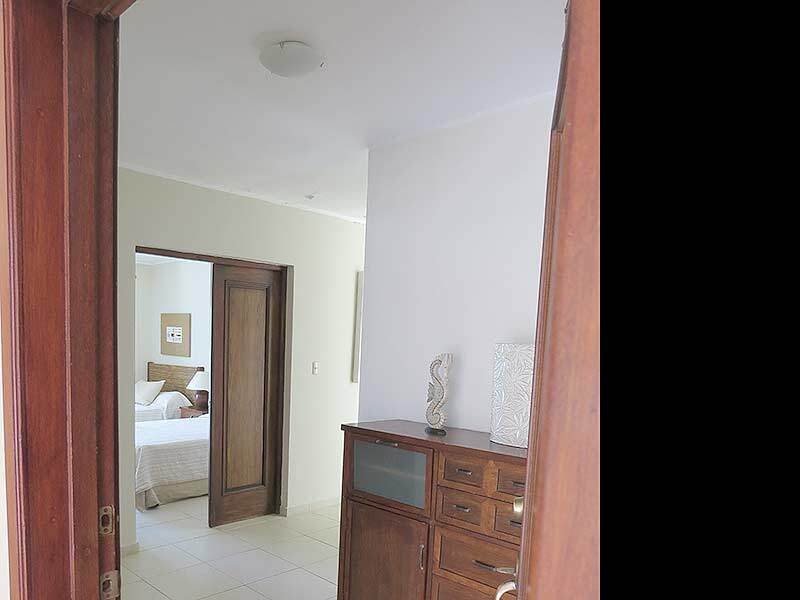 The unit has 2 bedrooms with Queen size beds , 2 recently renovated and upgraded (May 2017) bathrooms, big balcony. 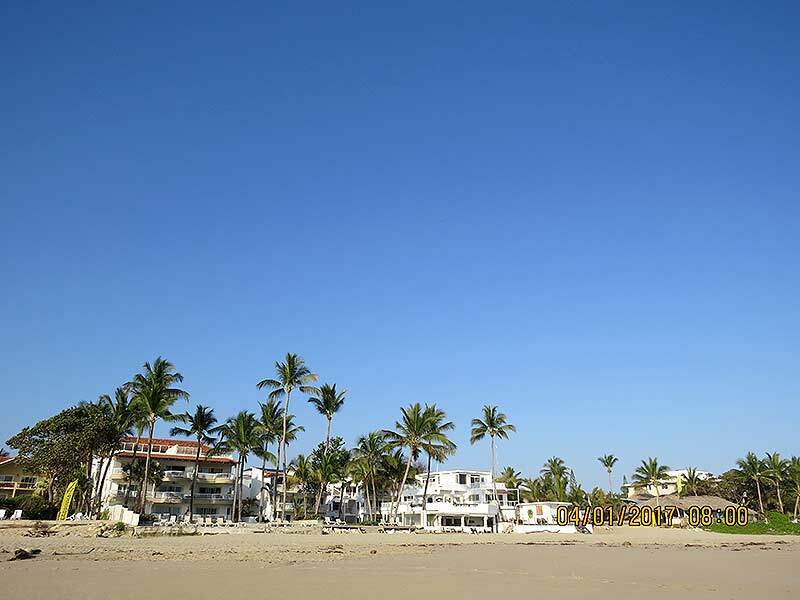 Beautiful and big. 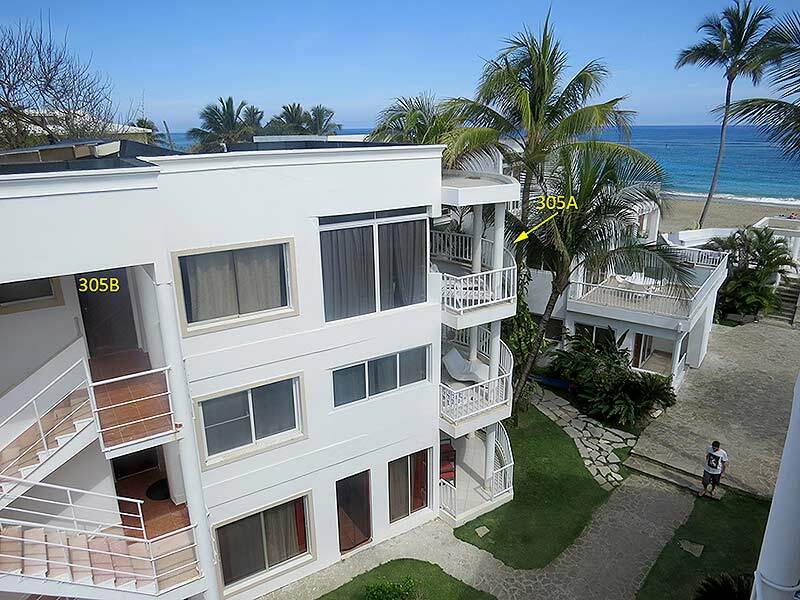 4rd floor ocean view 3 bedr. 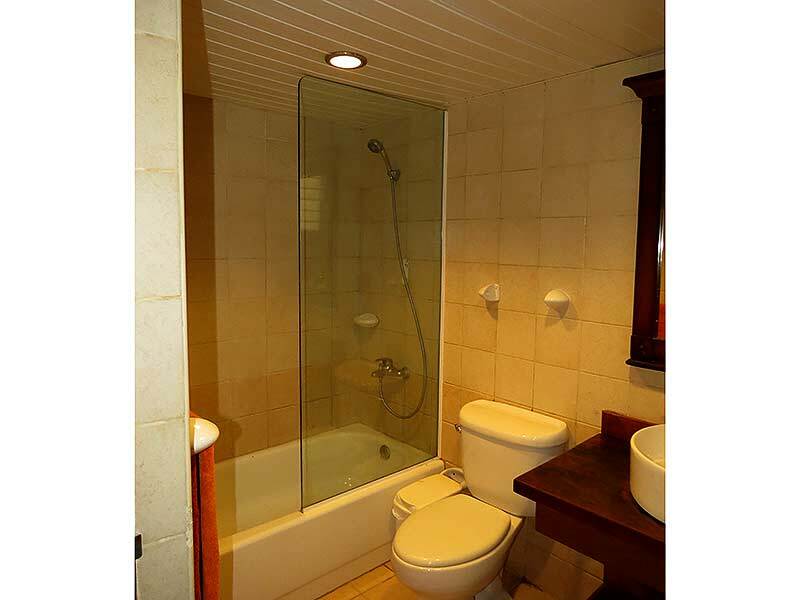 penthouse (401) at Kitebeach Condo (former KitebeachHotel). 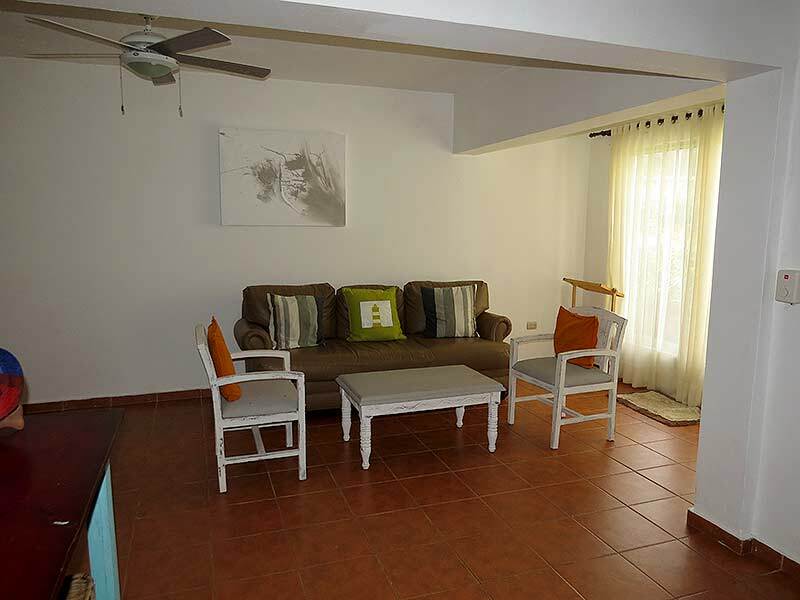 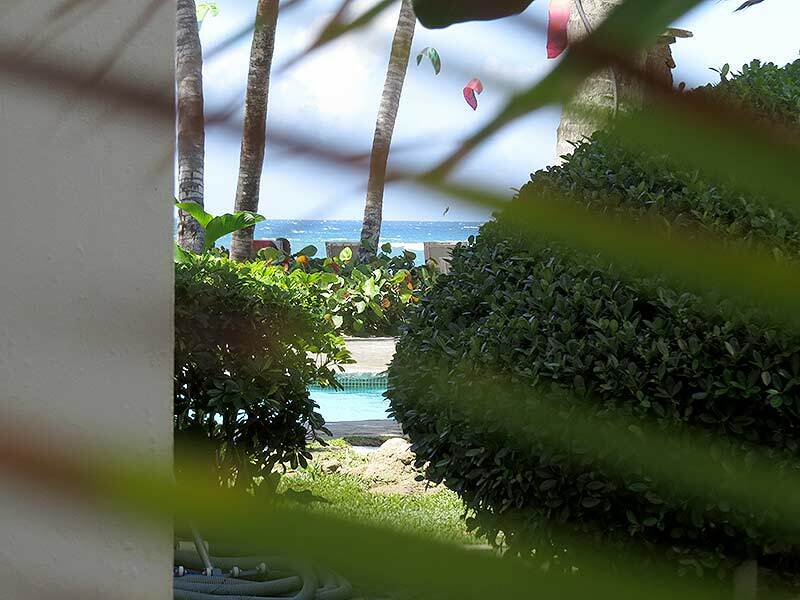 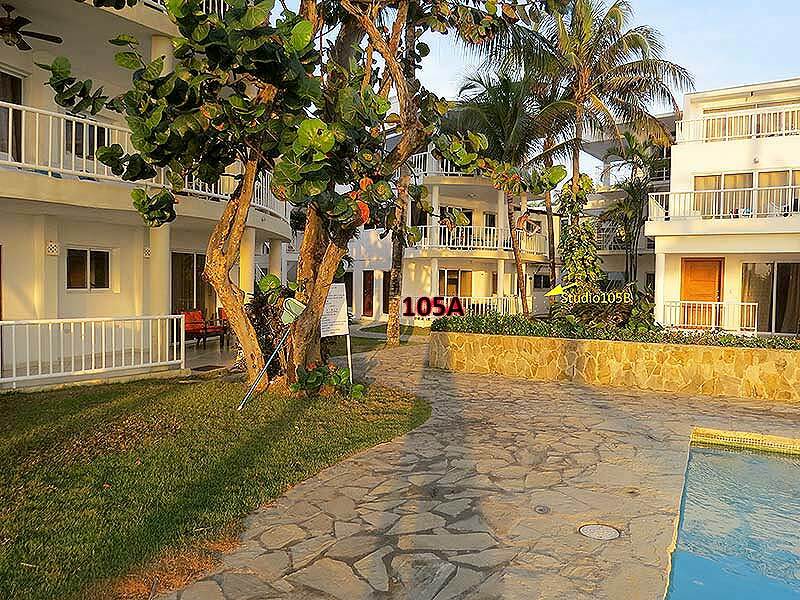 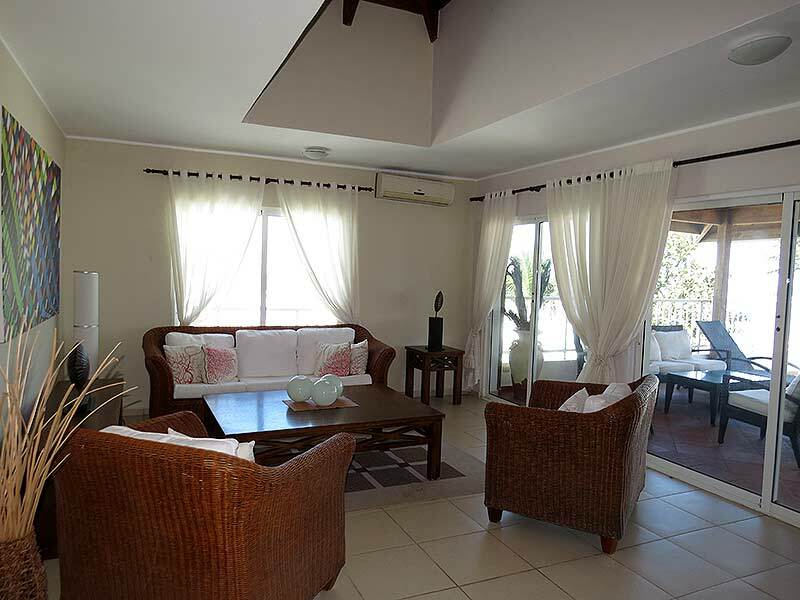 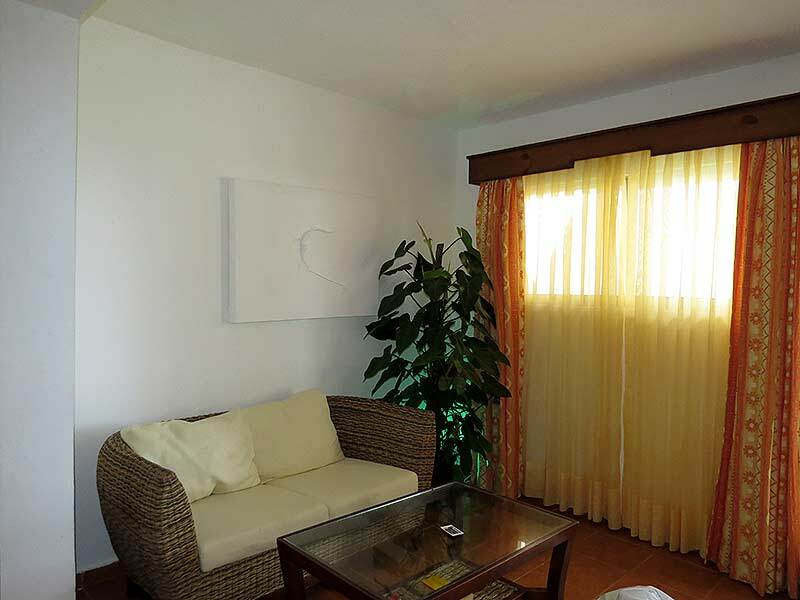 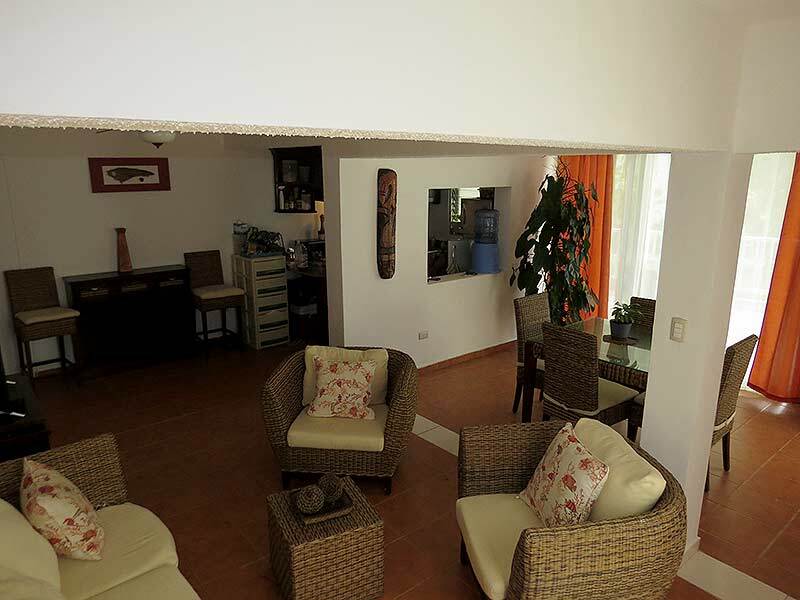 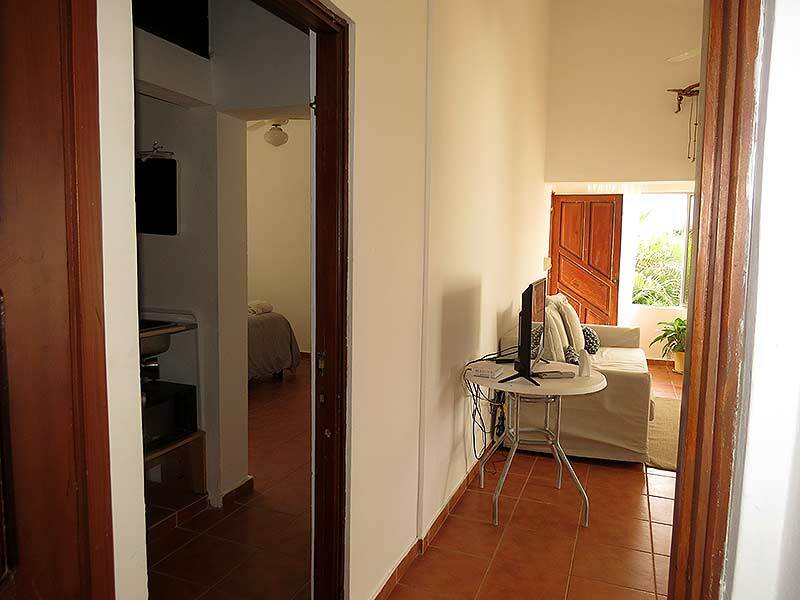 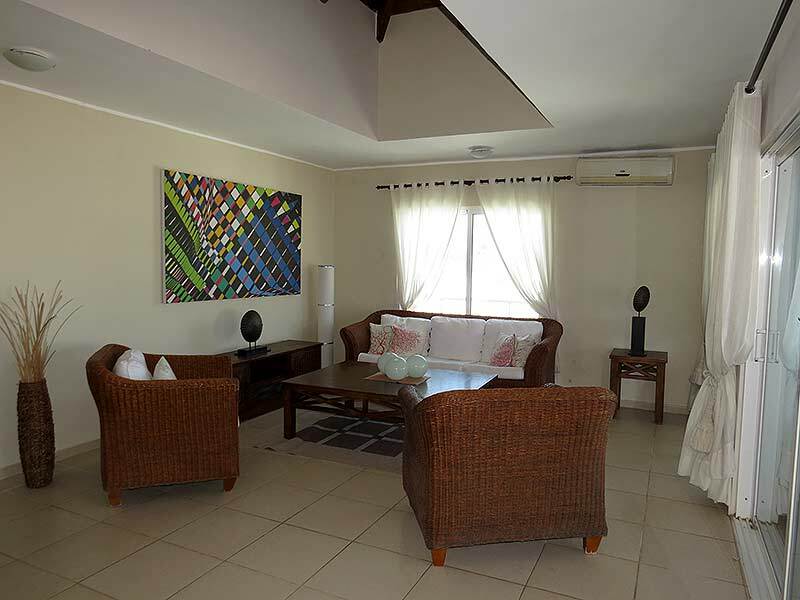 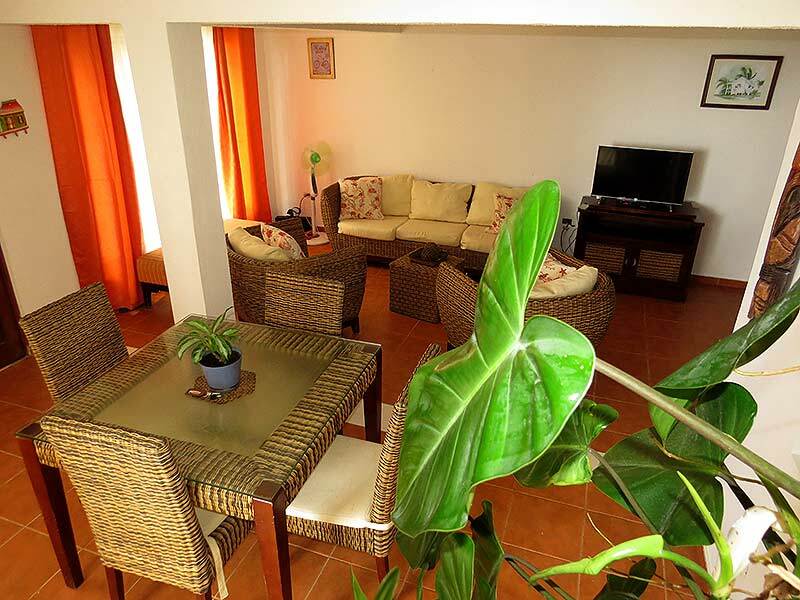 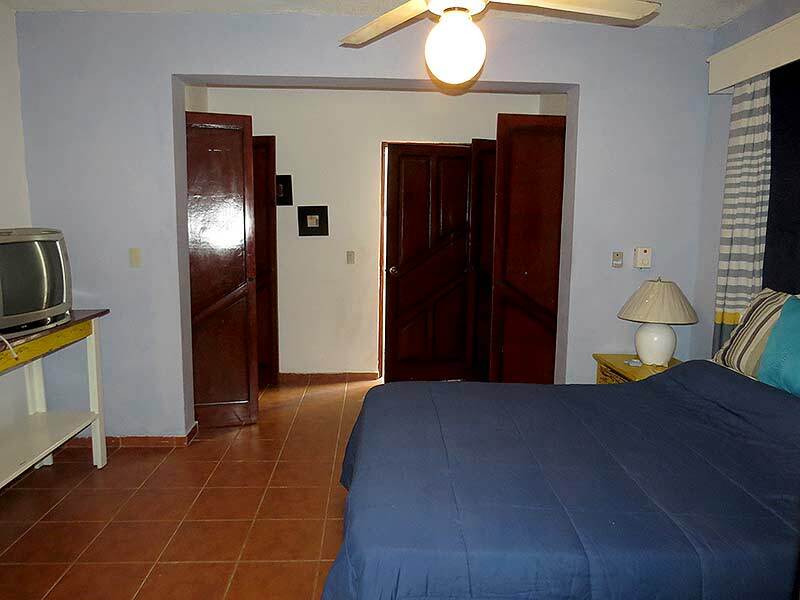 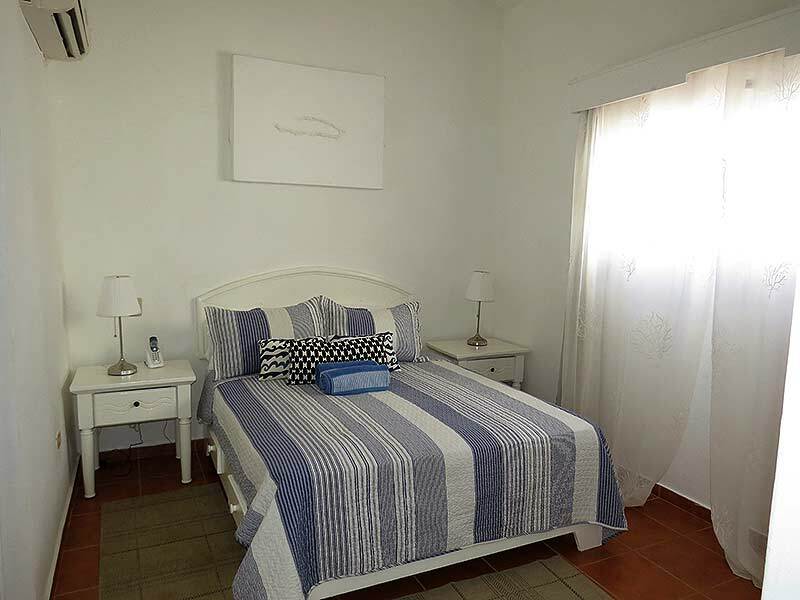 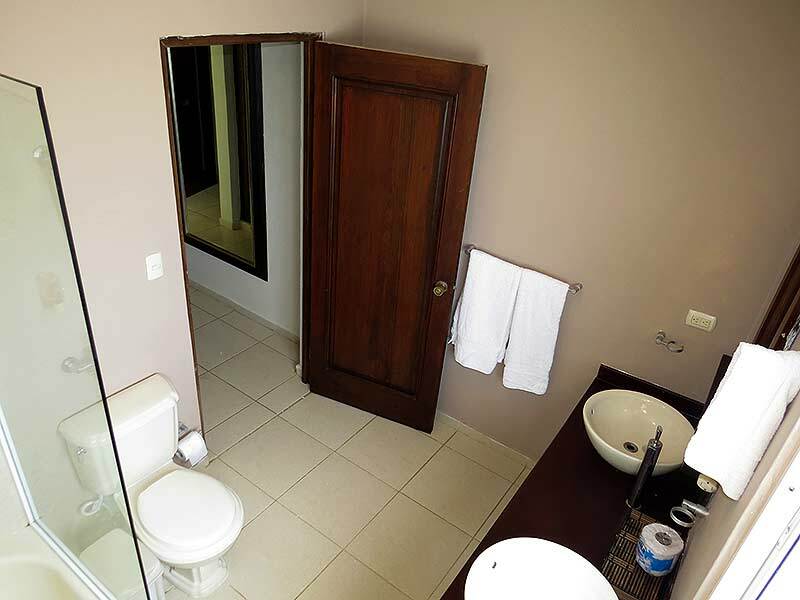 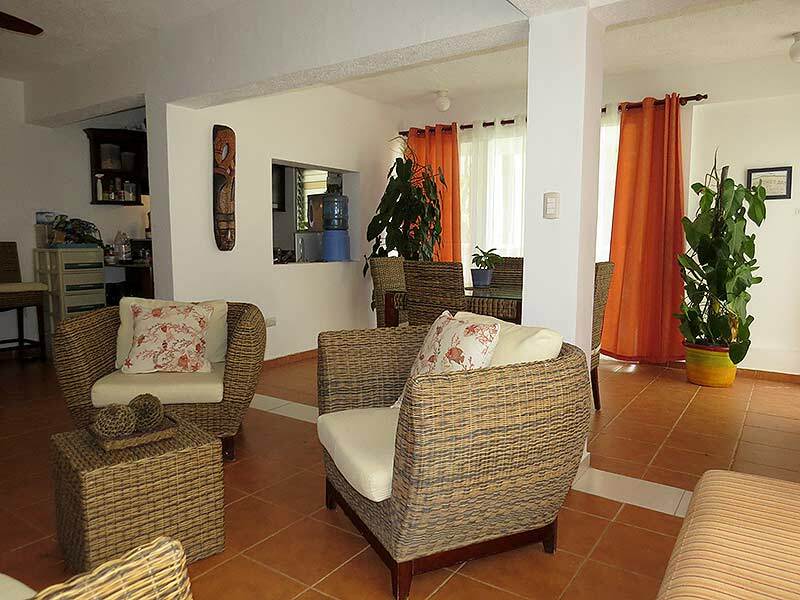 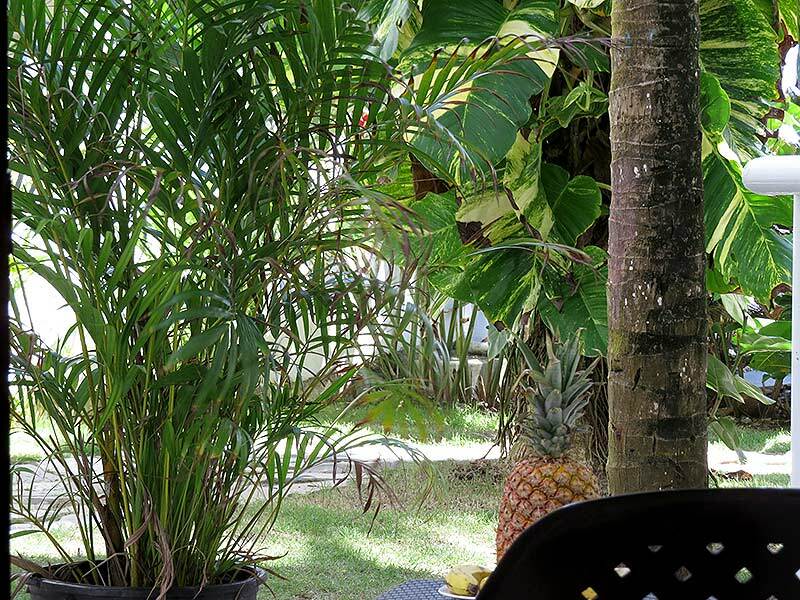 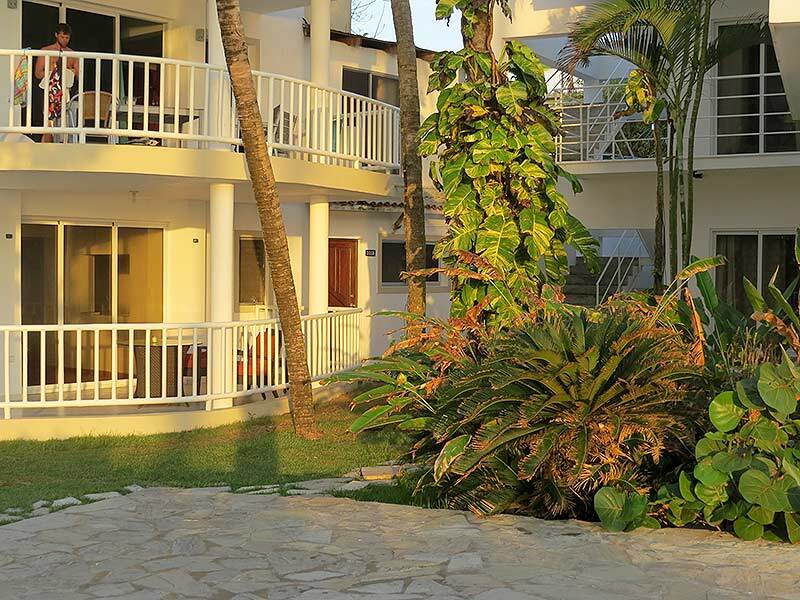 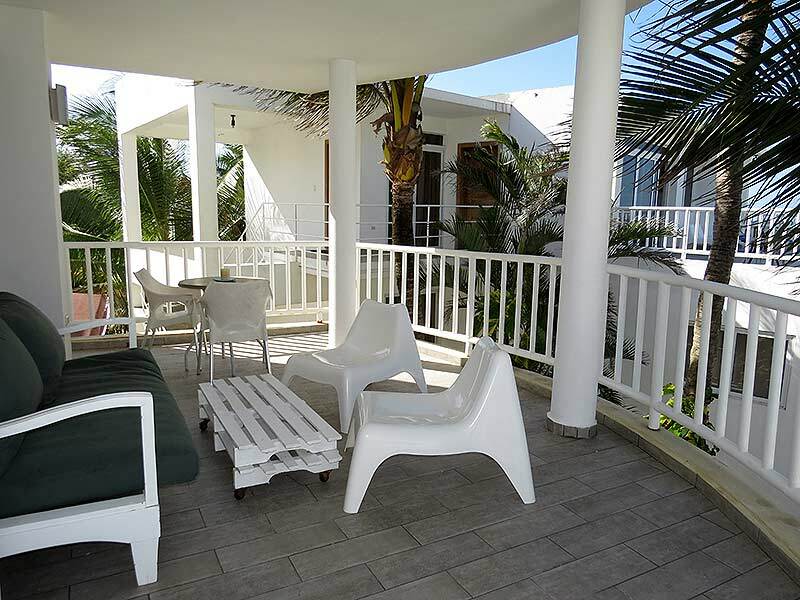 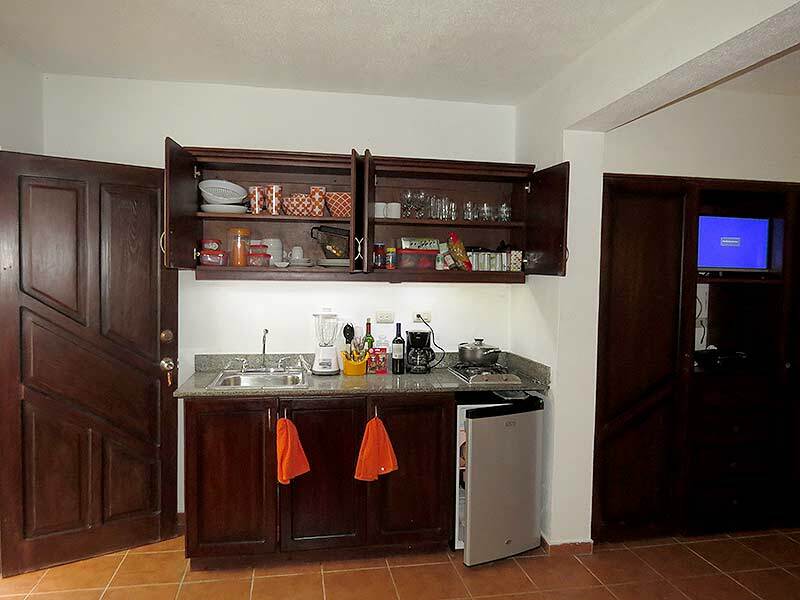 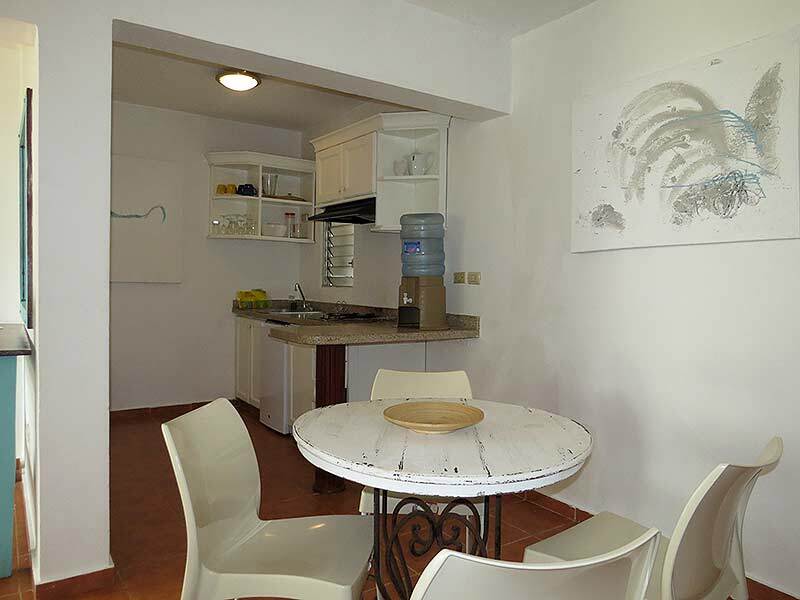 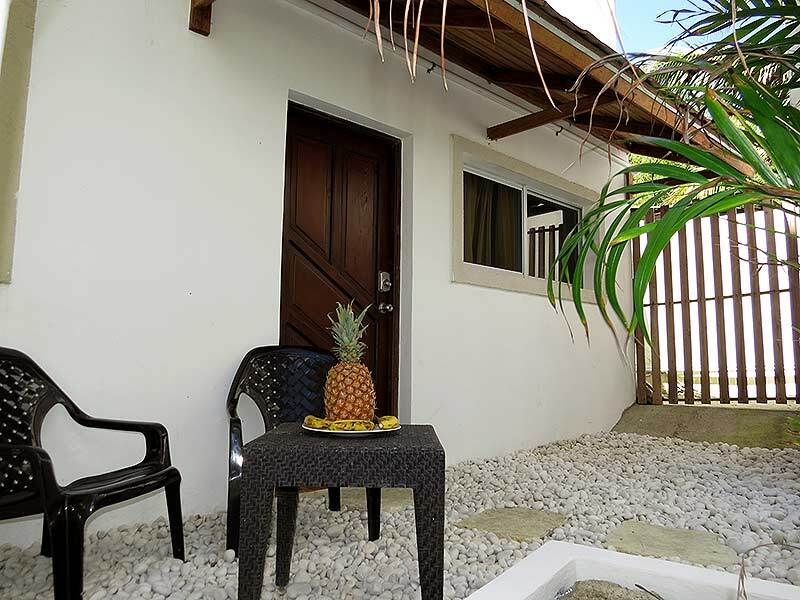 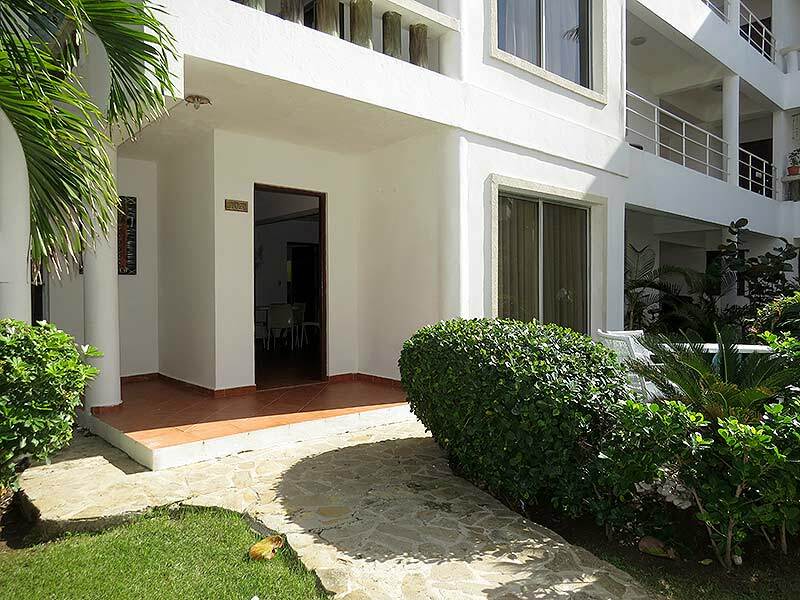 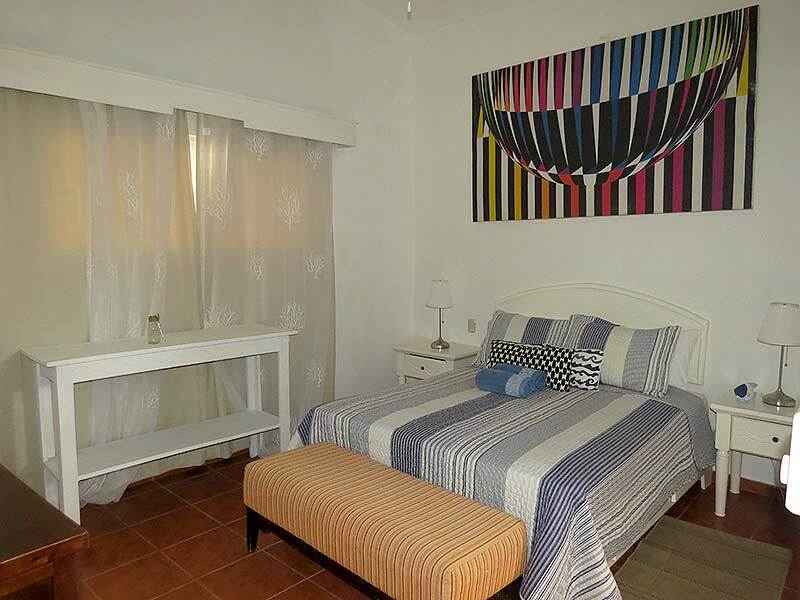 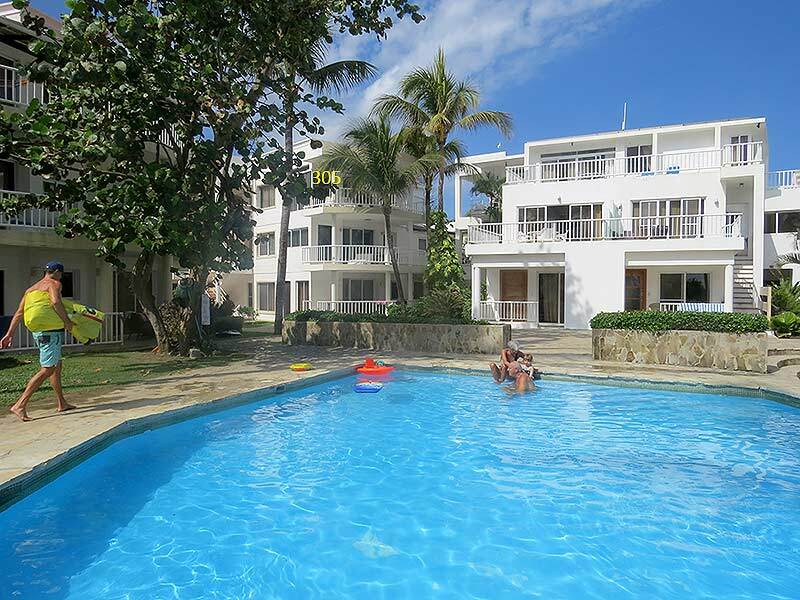 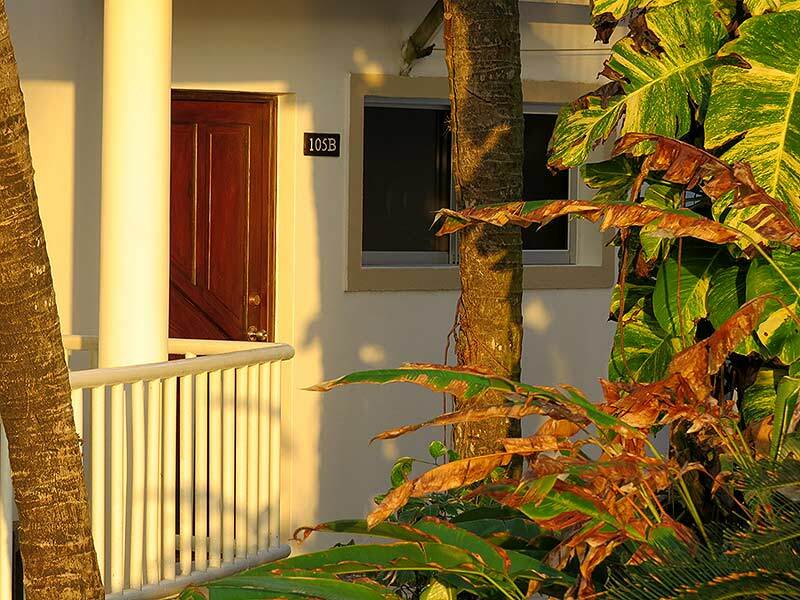 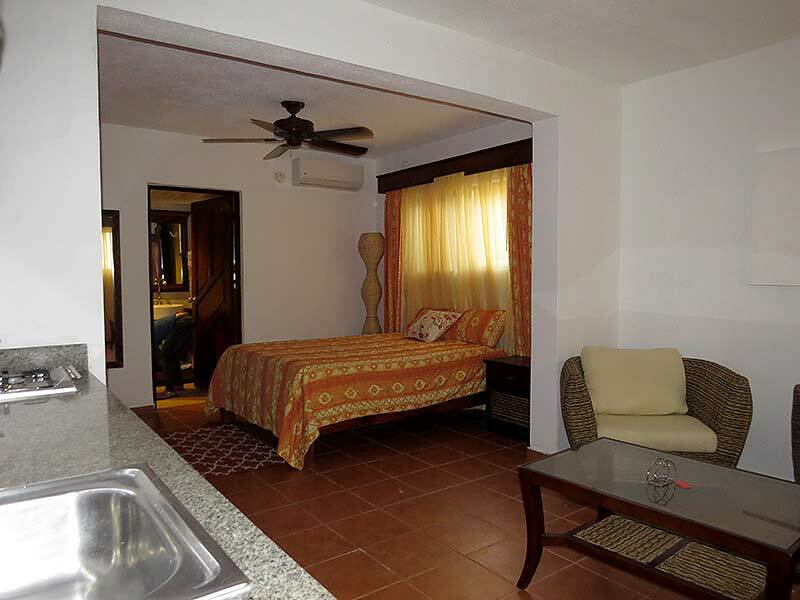 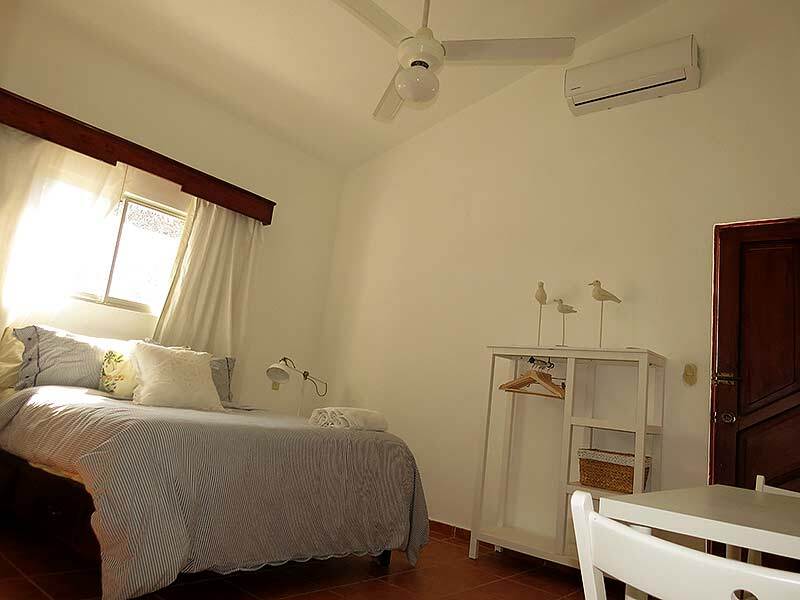 Located directly in the center of Cabarete’s Kite Beach in the just a few steps from the warm Caribbean waters. 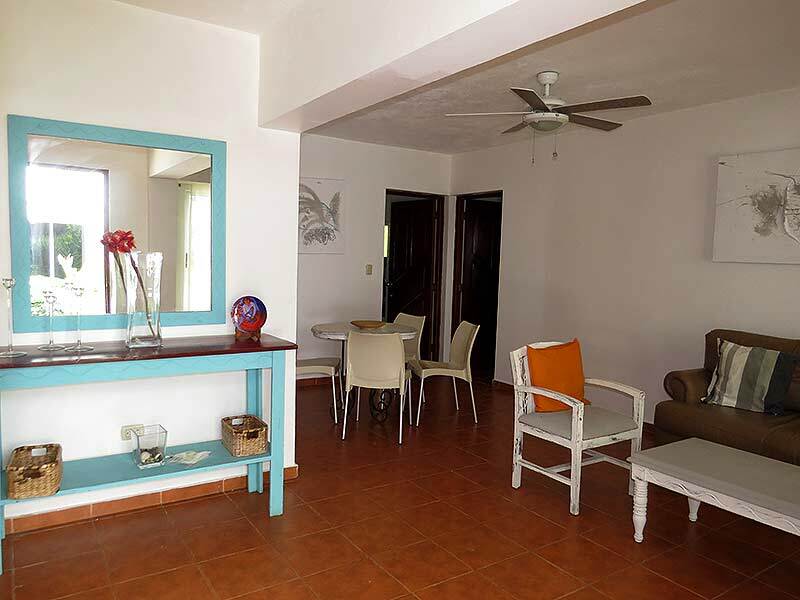 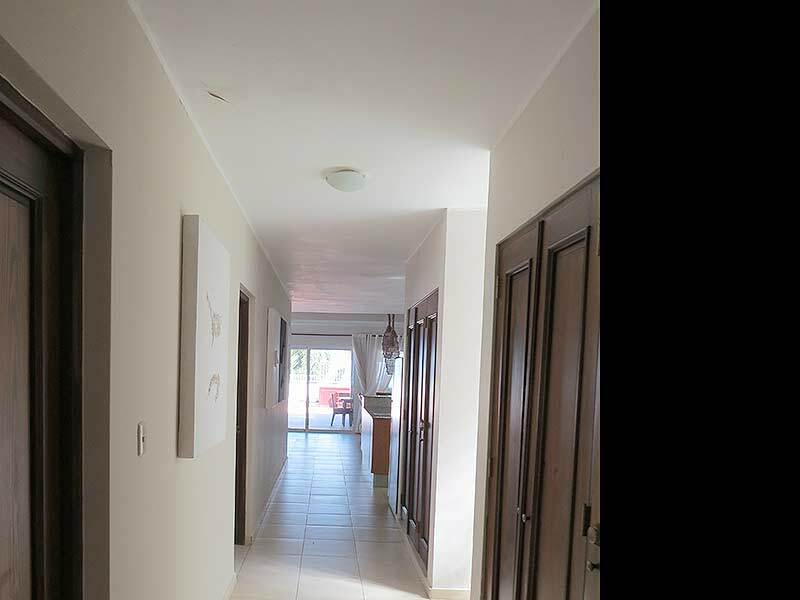 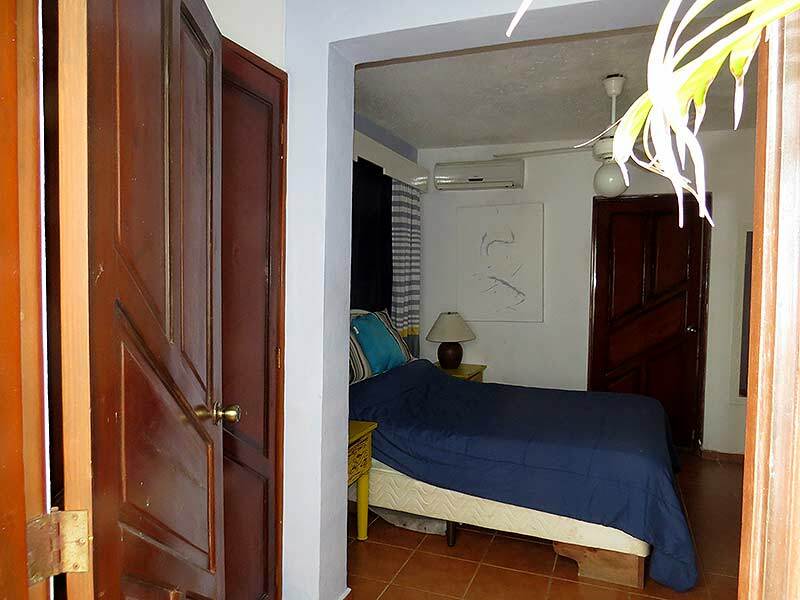 Beautiful 3rd floor Apartment with particular ocean view located directly in the center of Cabarete’s Kite Beach just a few steps from the warm Caribbean waters. 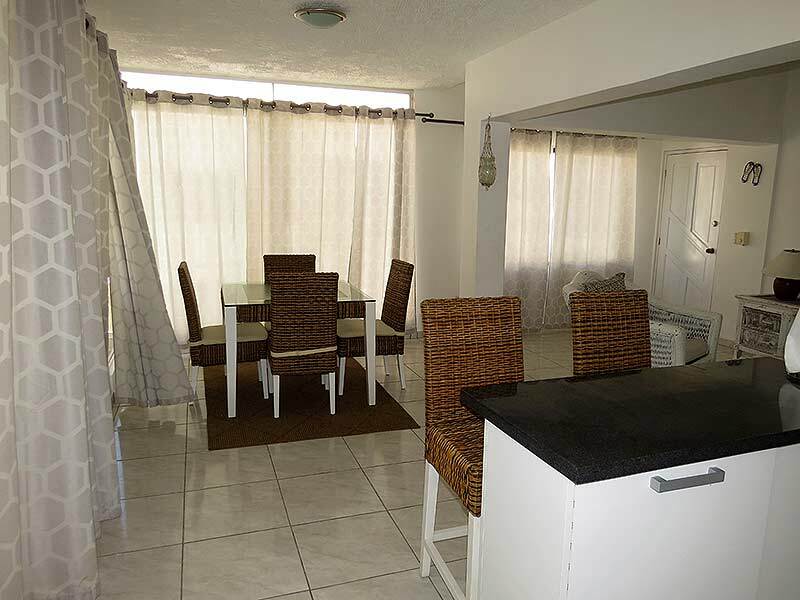 This unit can be rented as a 2 Apartment or 1 bedroom. 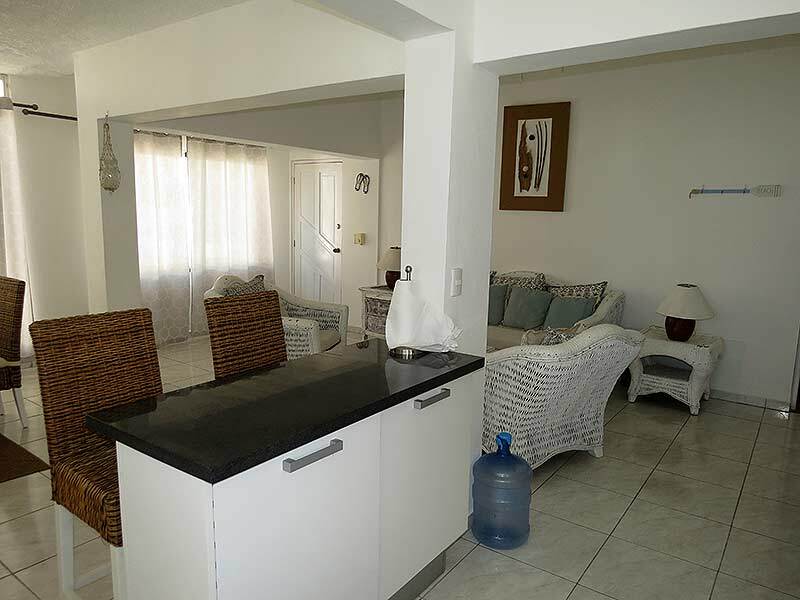 The unit has 2 bedrooms with Queen size beds , 2 recently renovated and upgraded (Oct. 2018) bathrooms, big balcony. 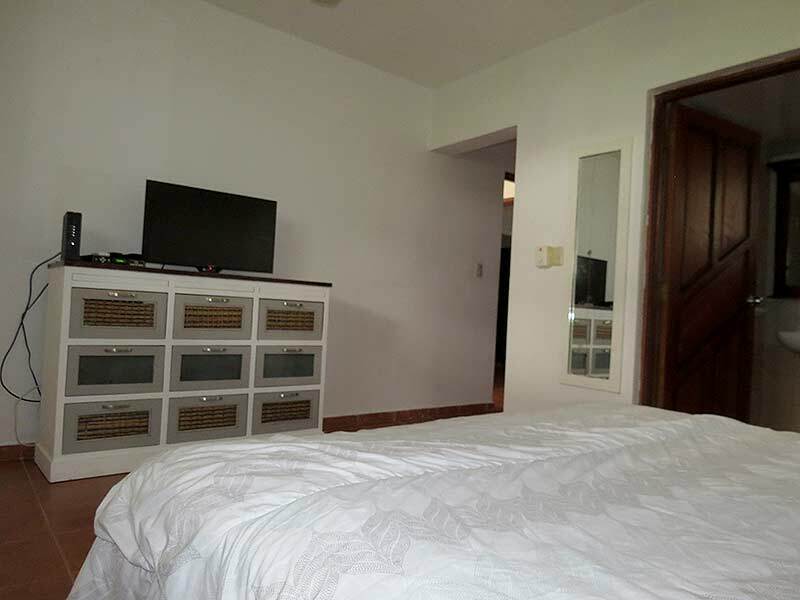 For more info sent a email to kitexcite@gmail.com.